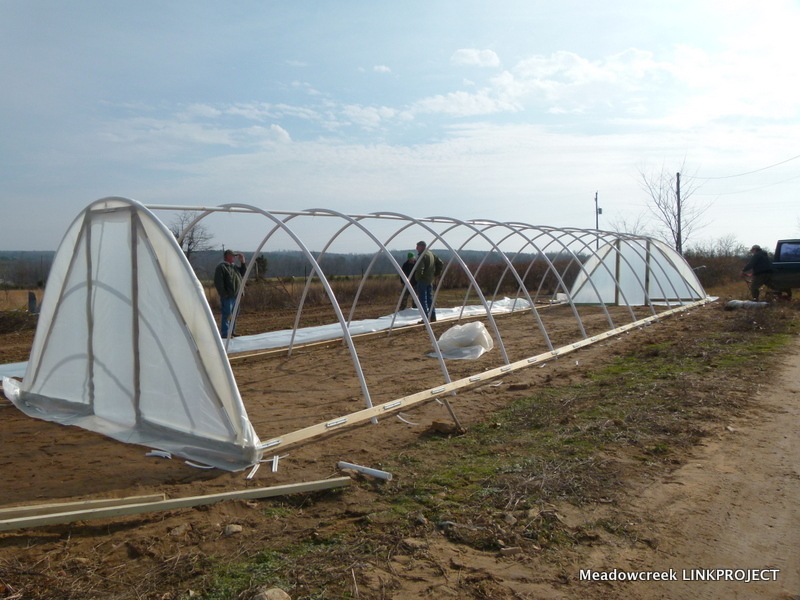 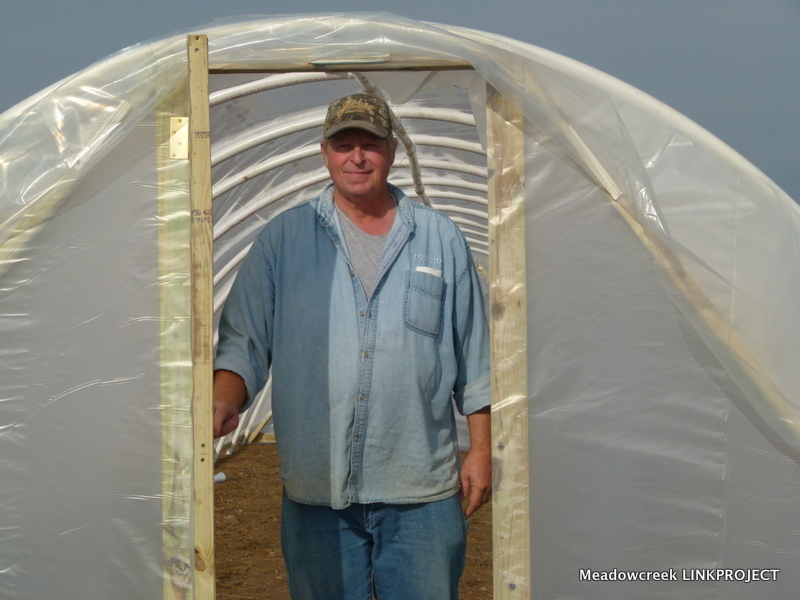 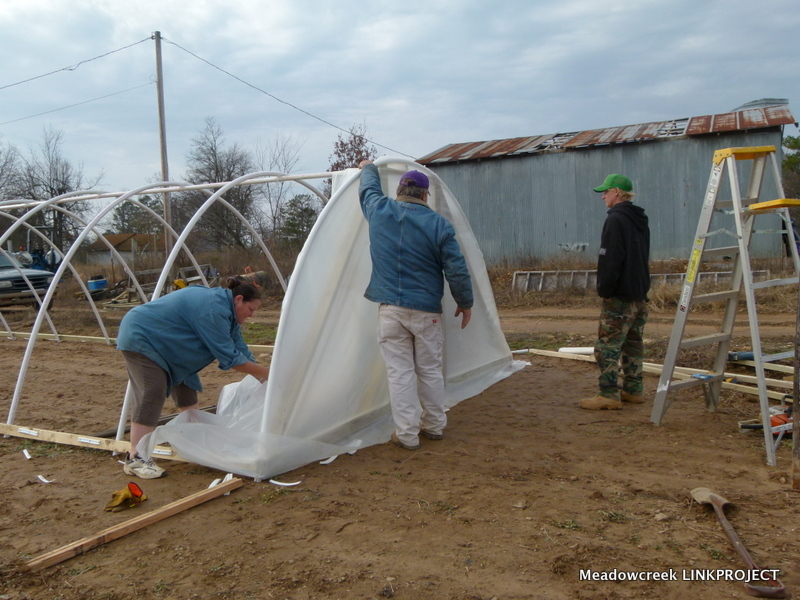 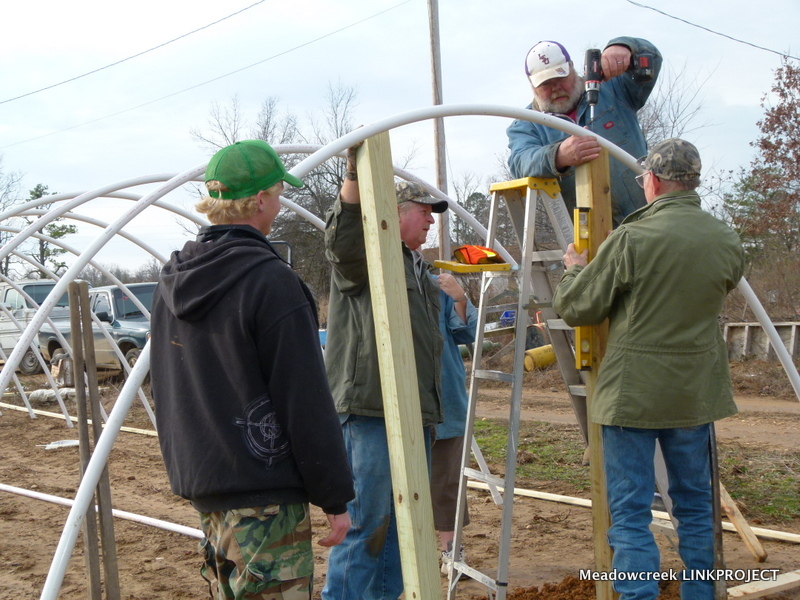 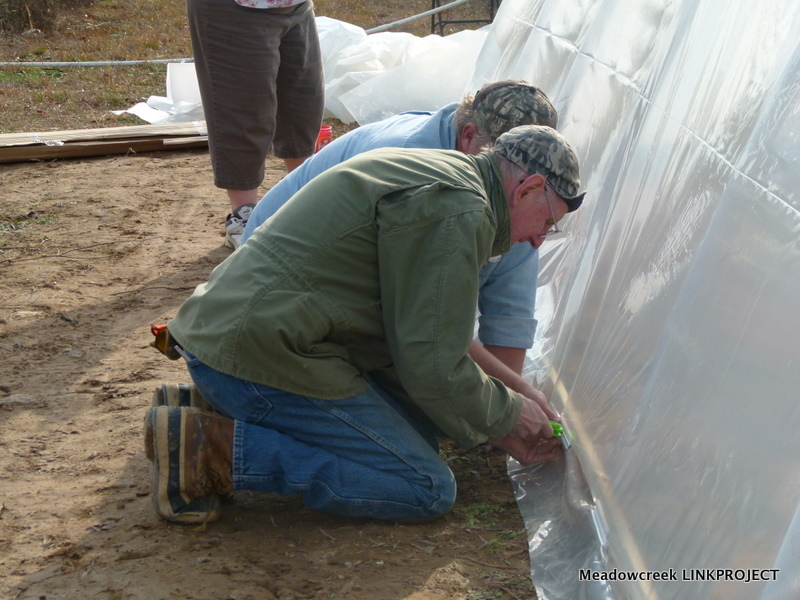 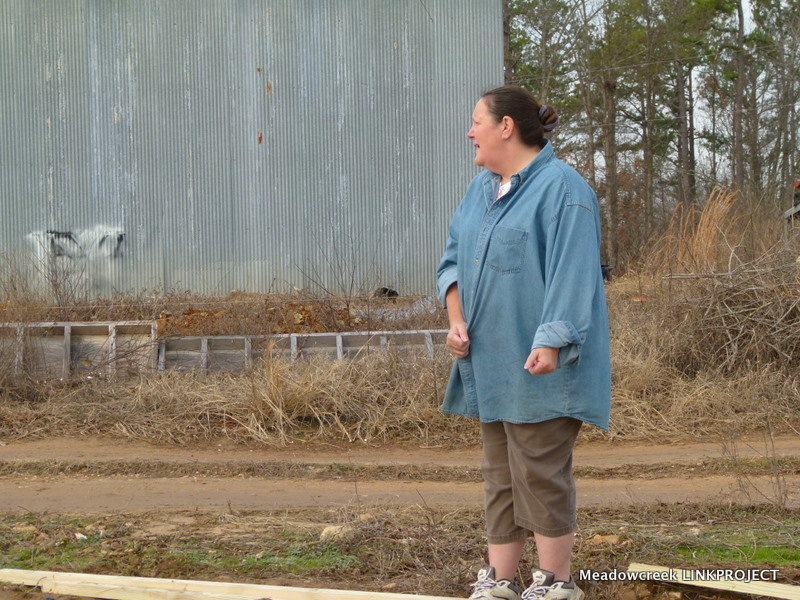 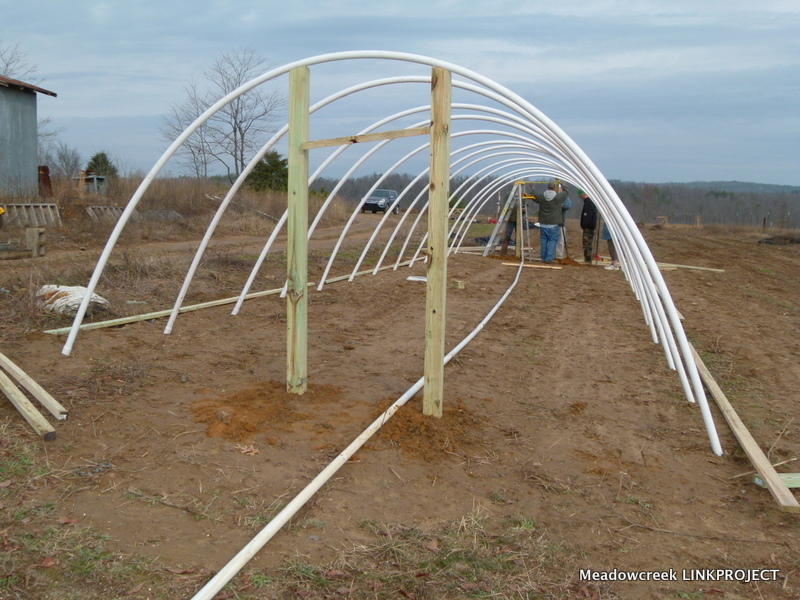 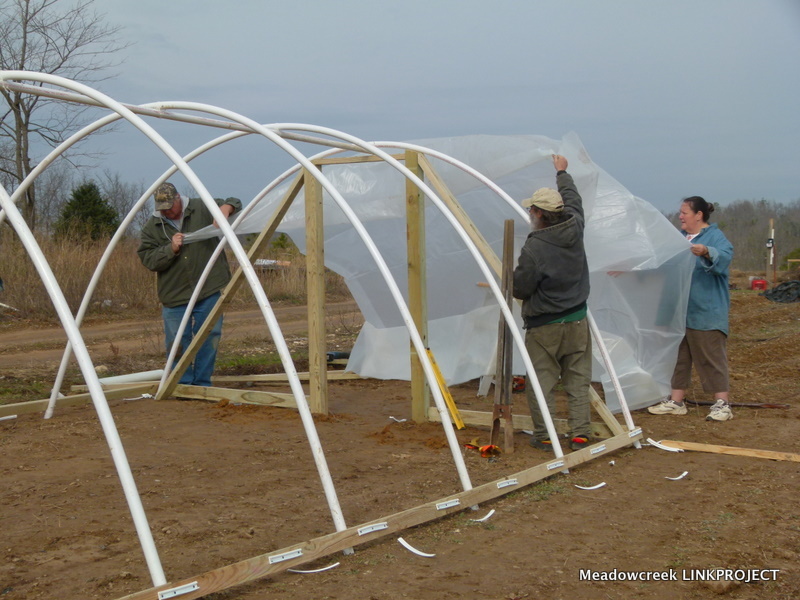 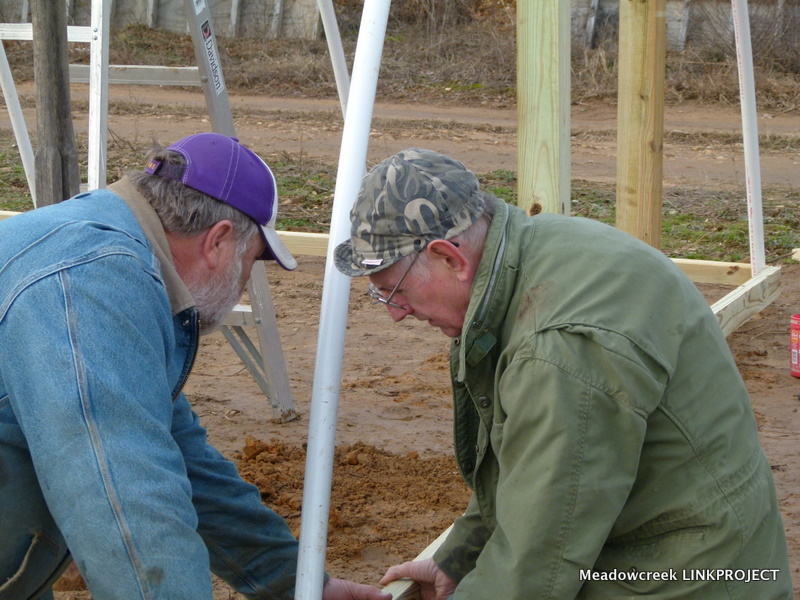 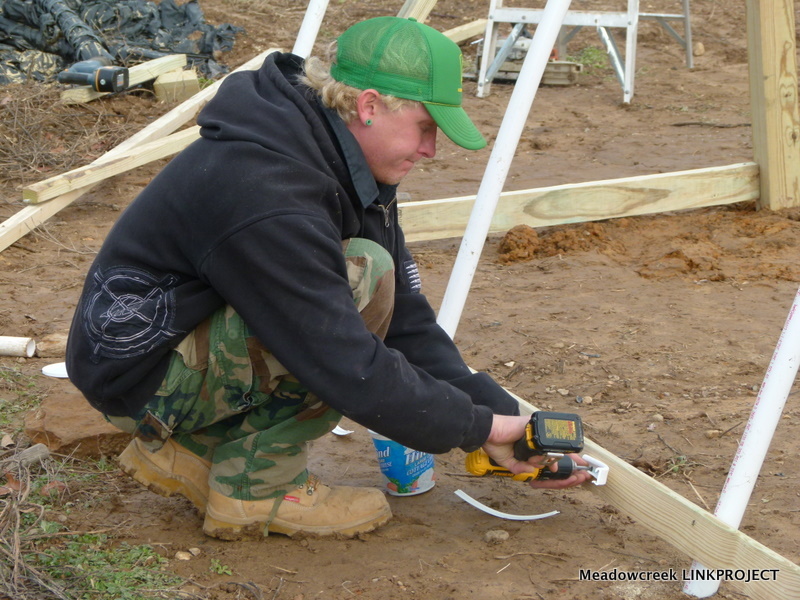 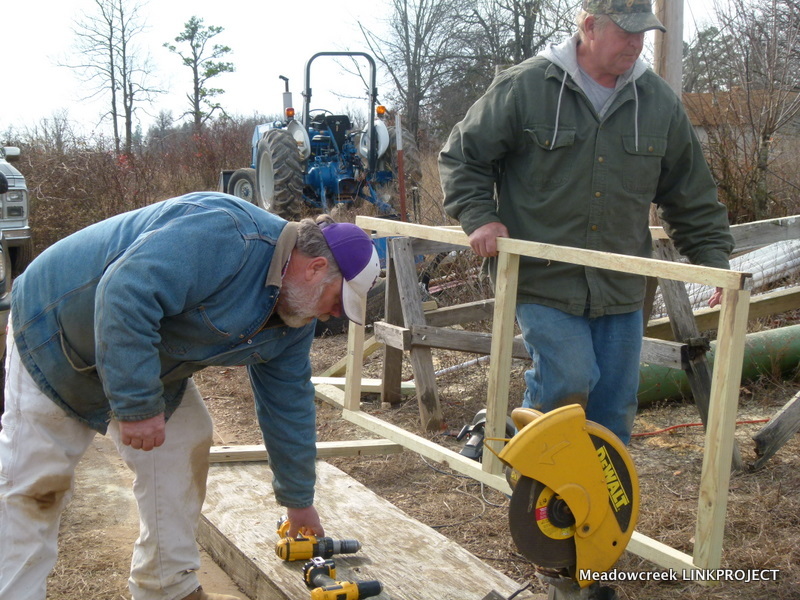 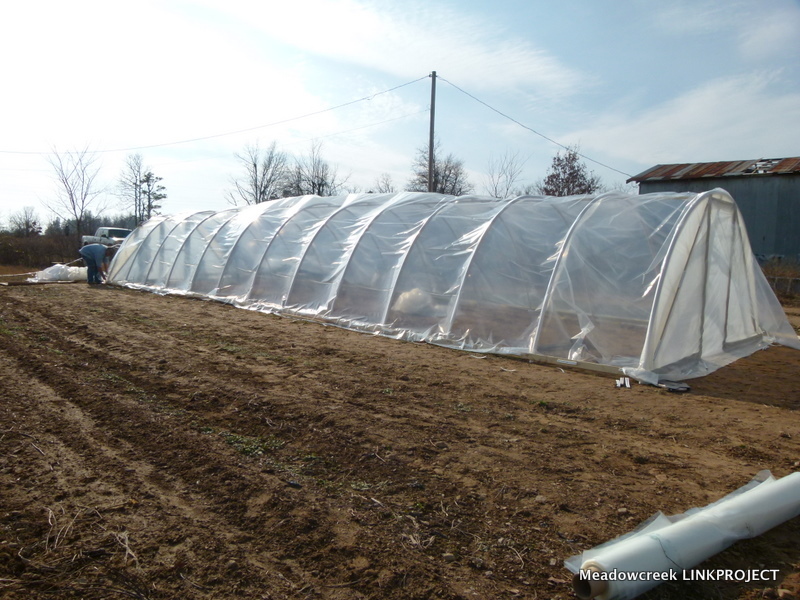 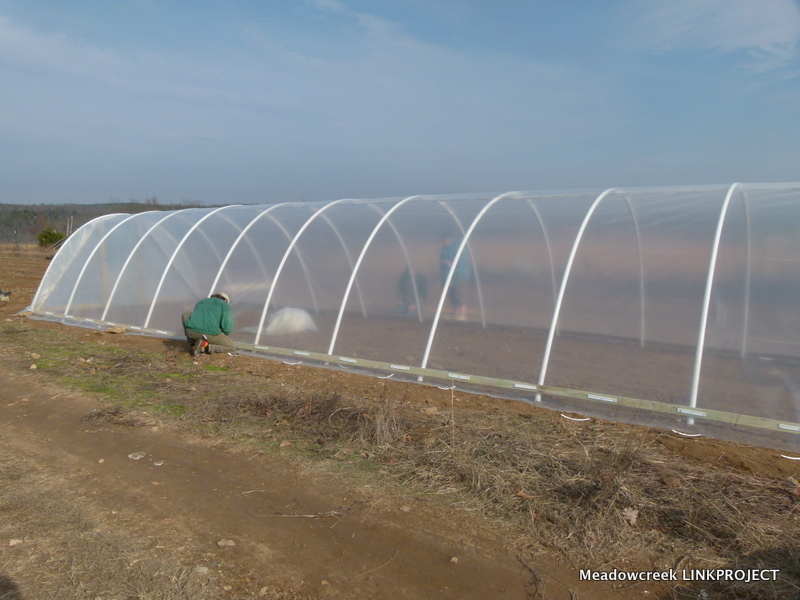 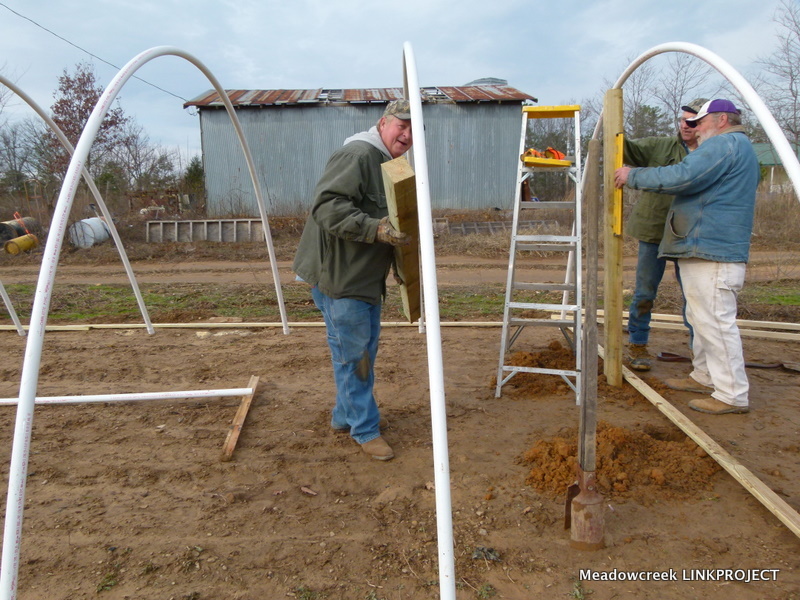 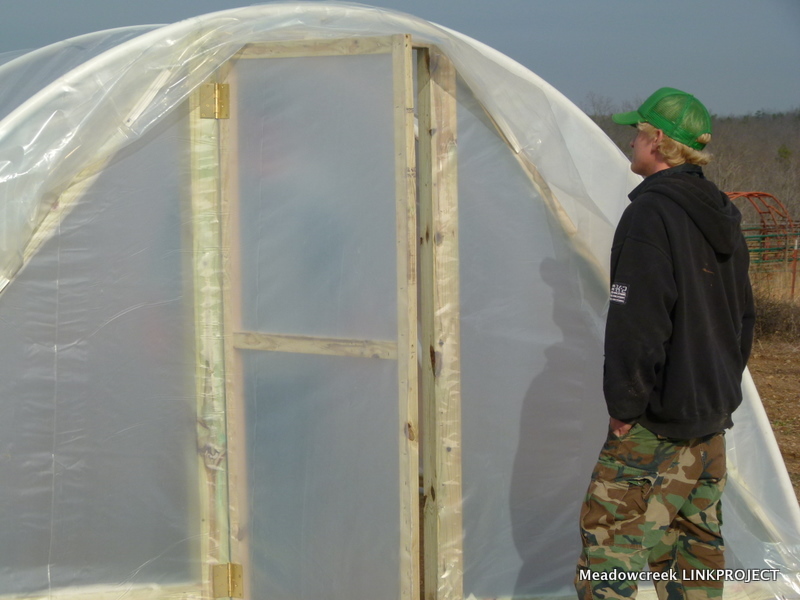 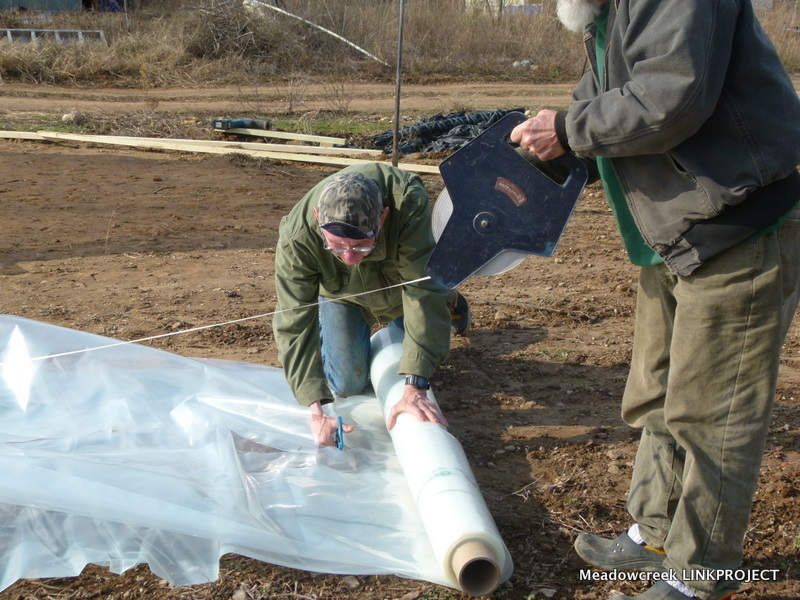 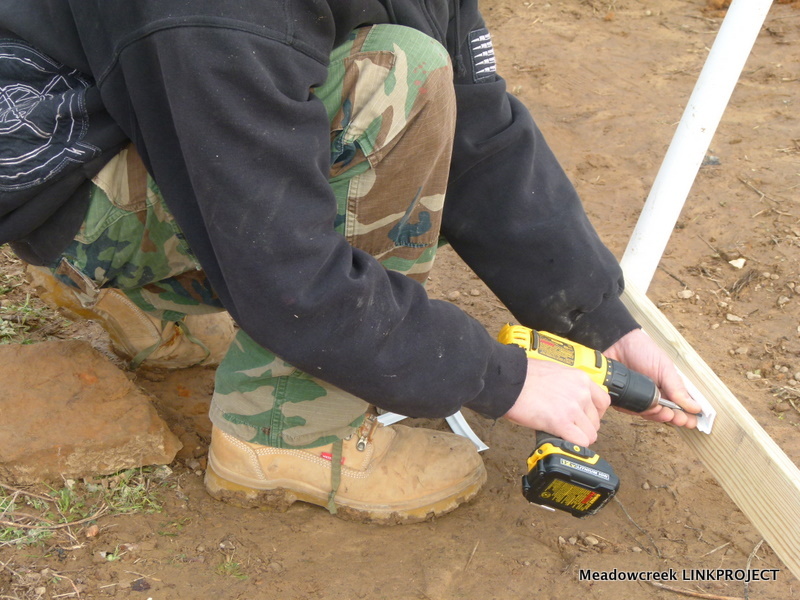 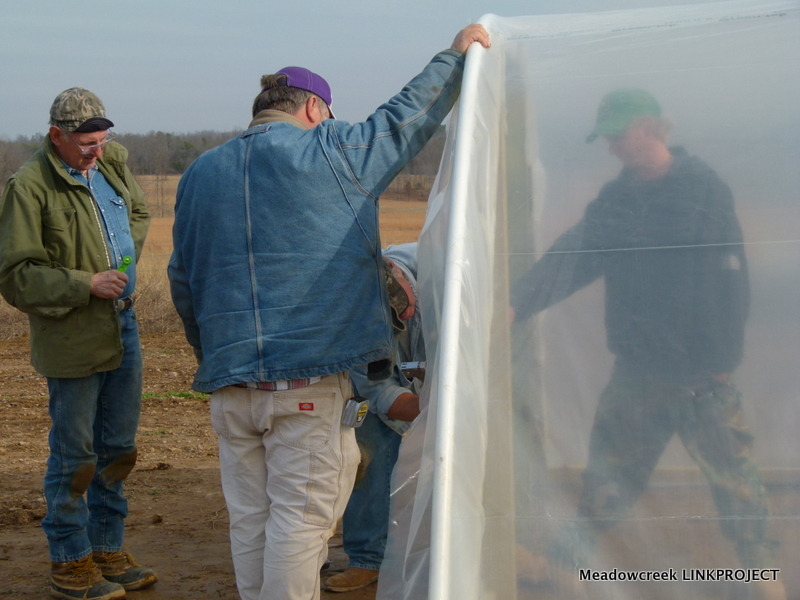 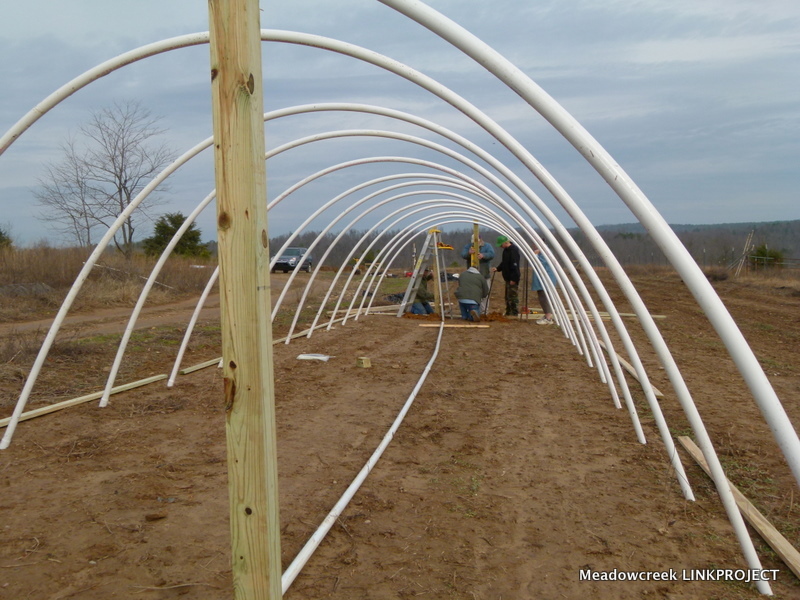 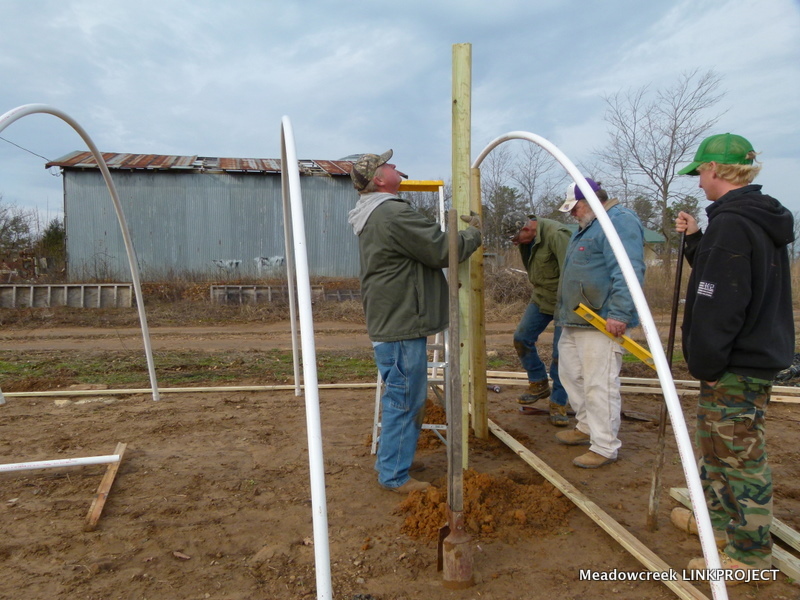 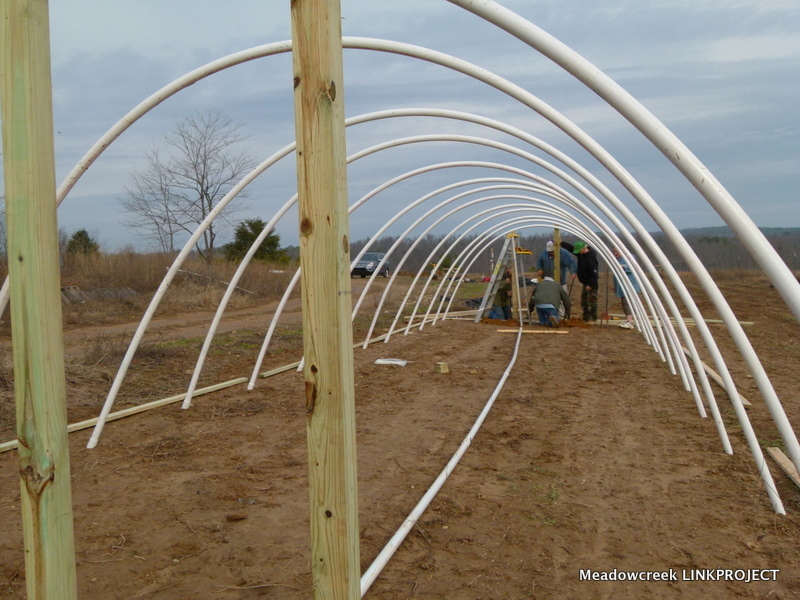 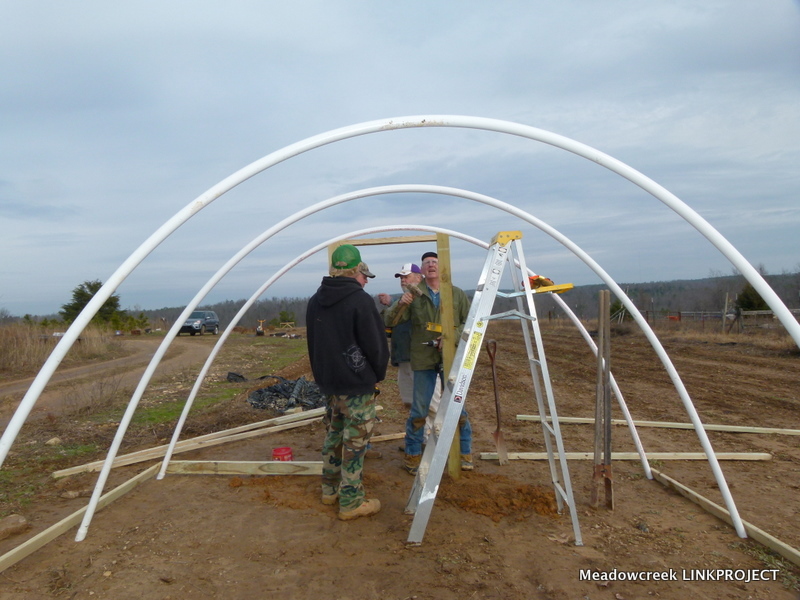 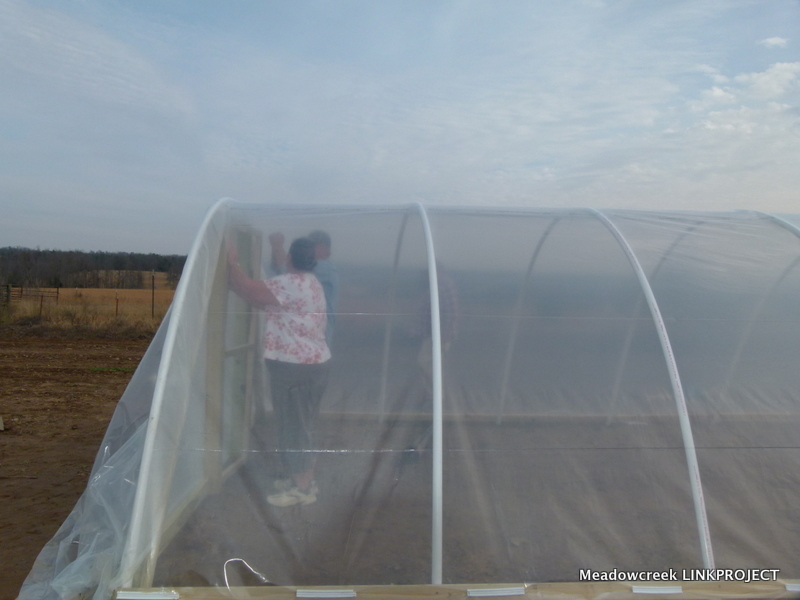 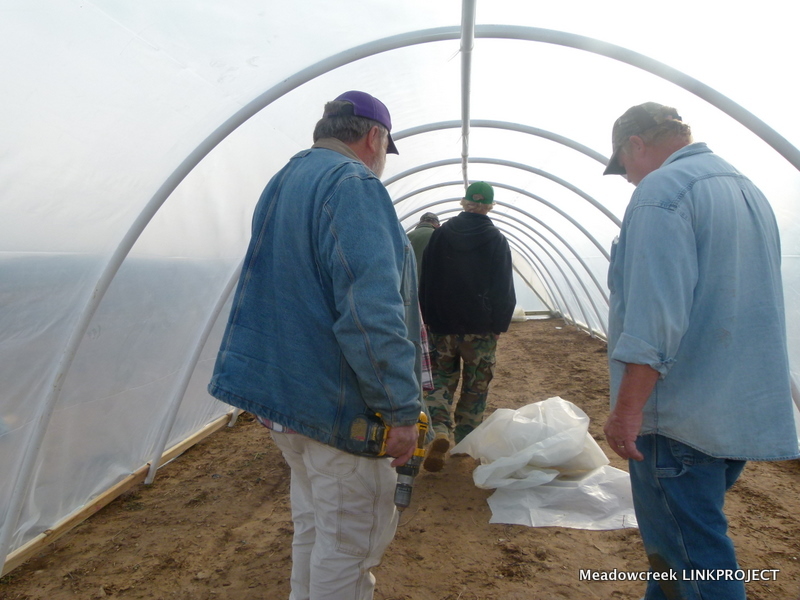 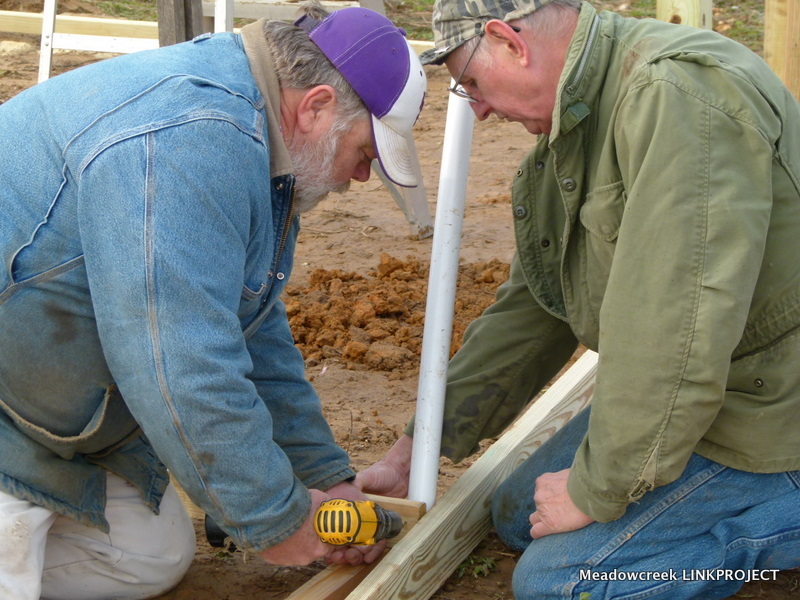 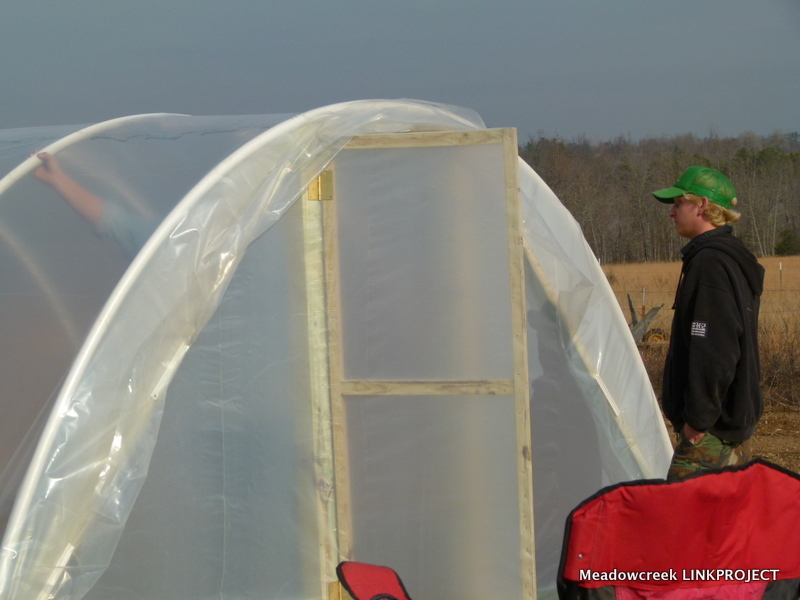 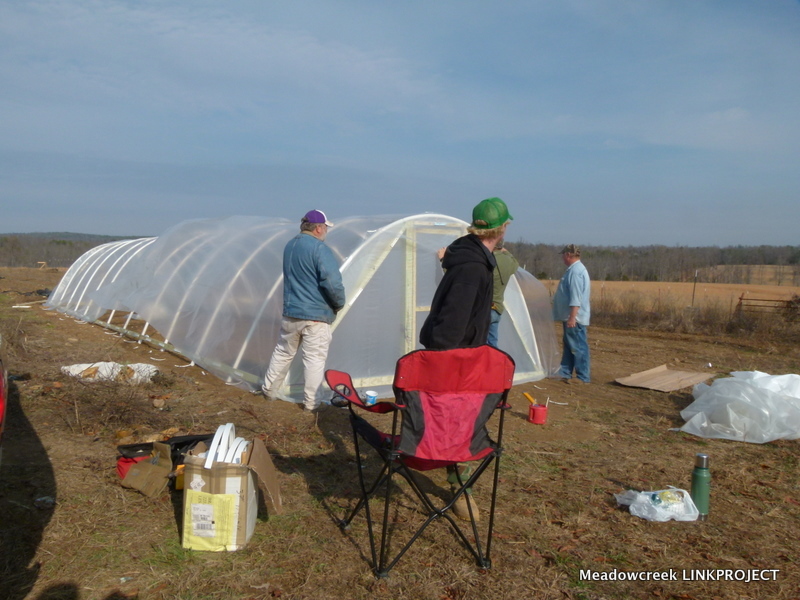 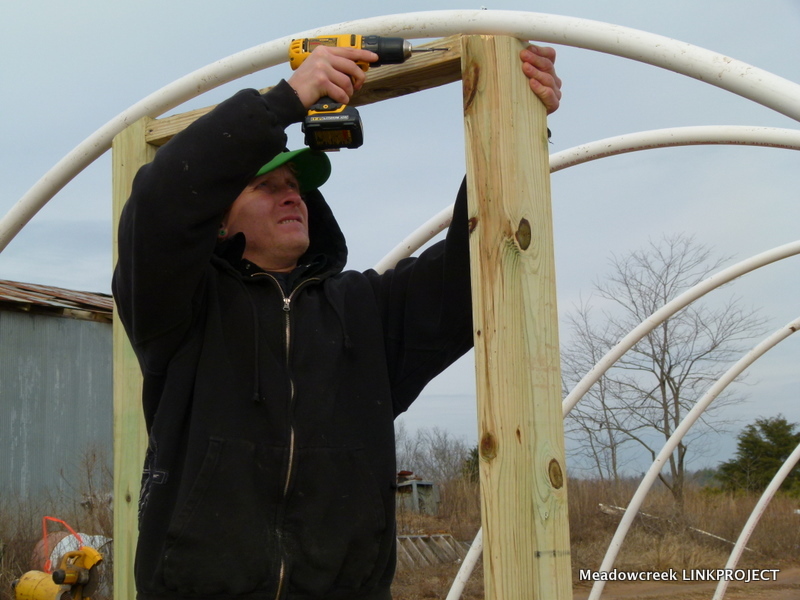 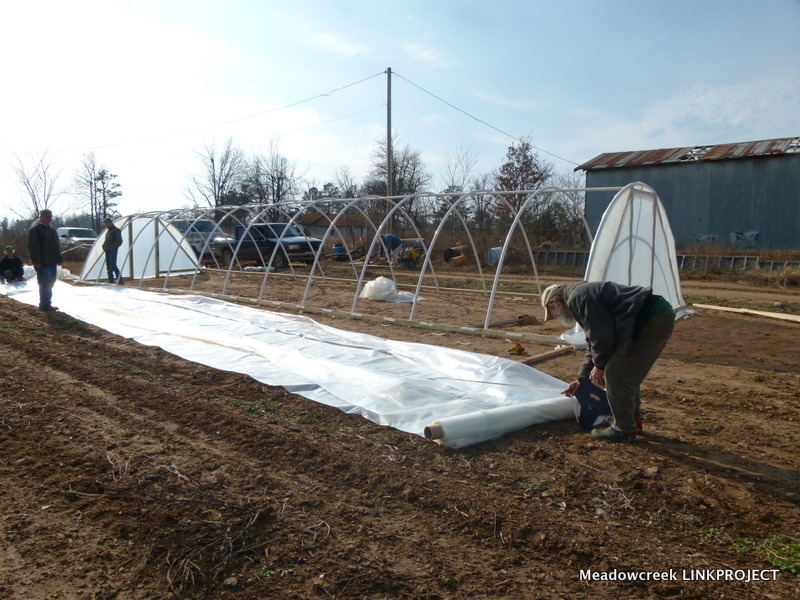 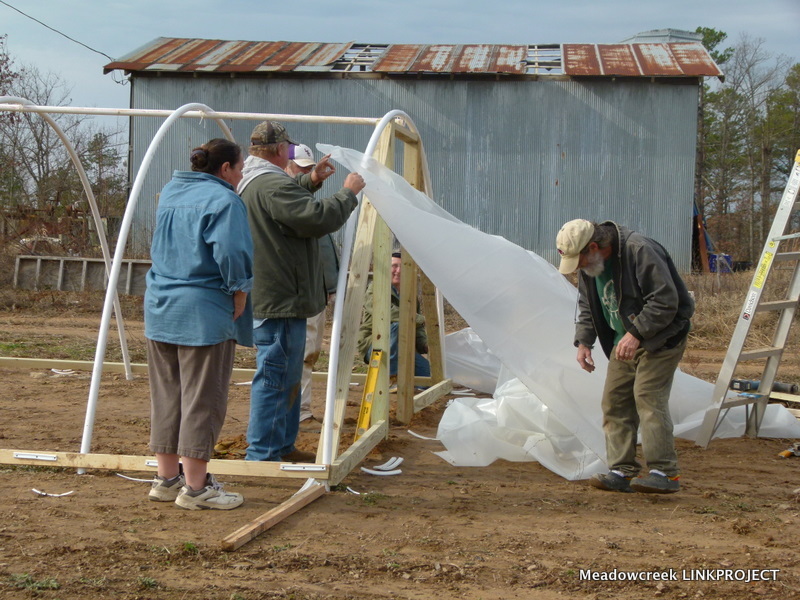 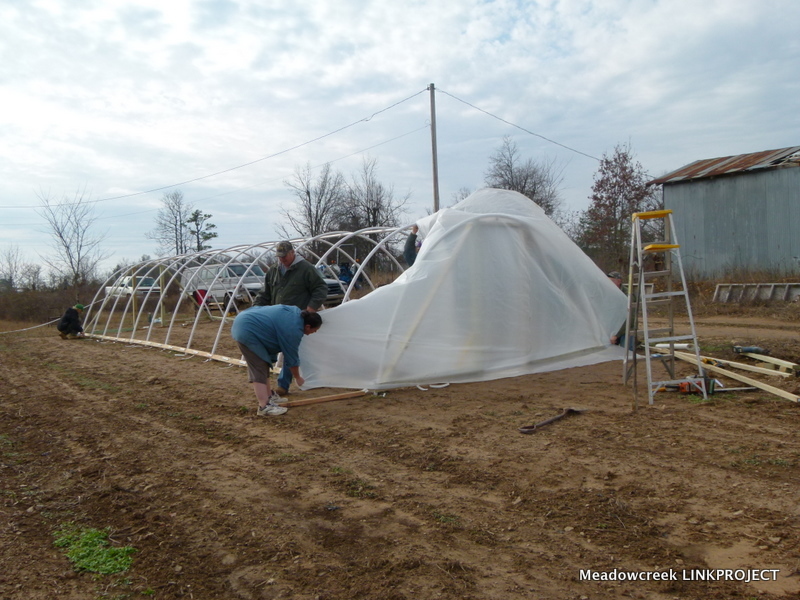 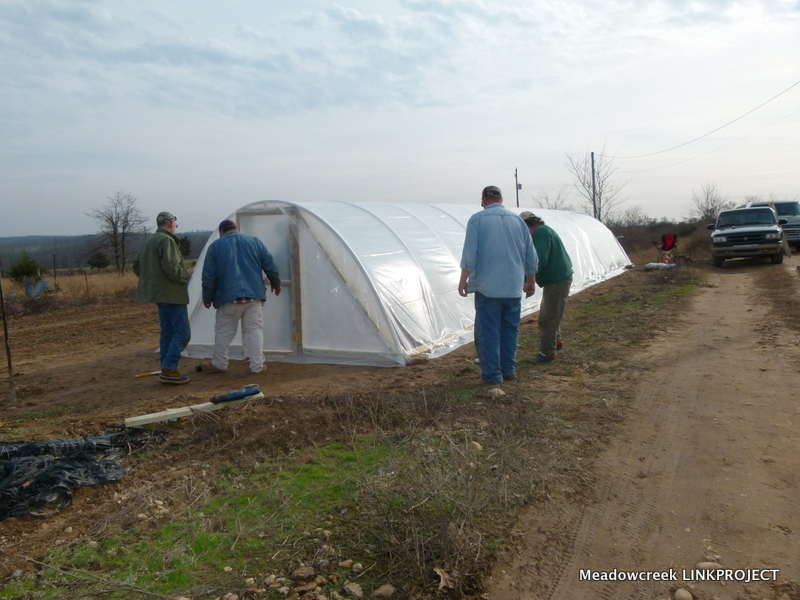 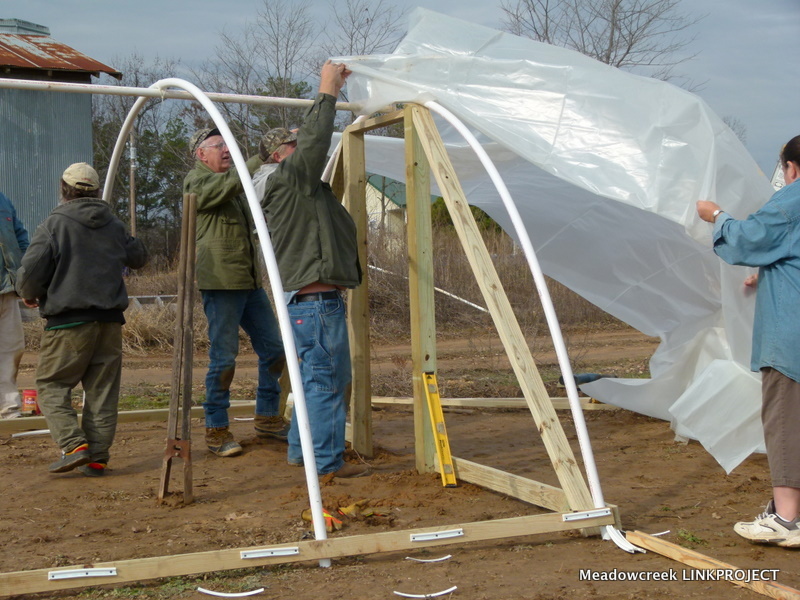 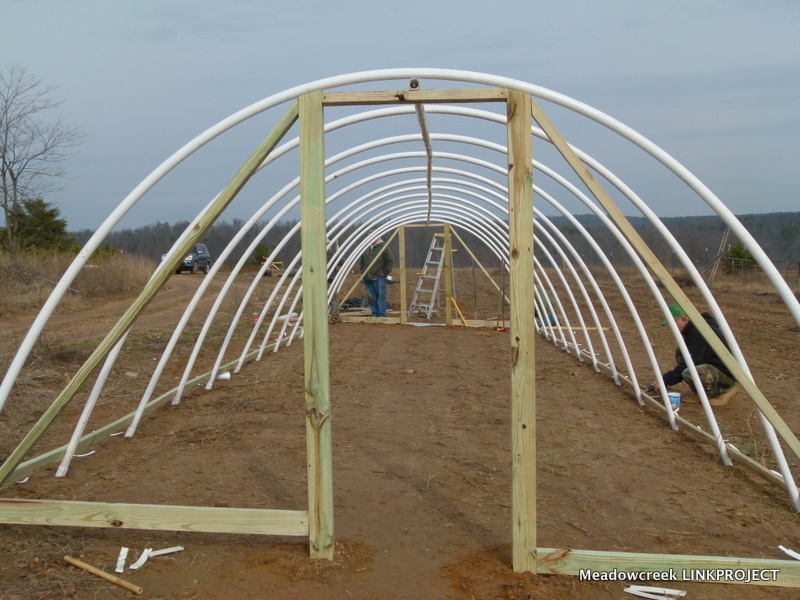 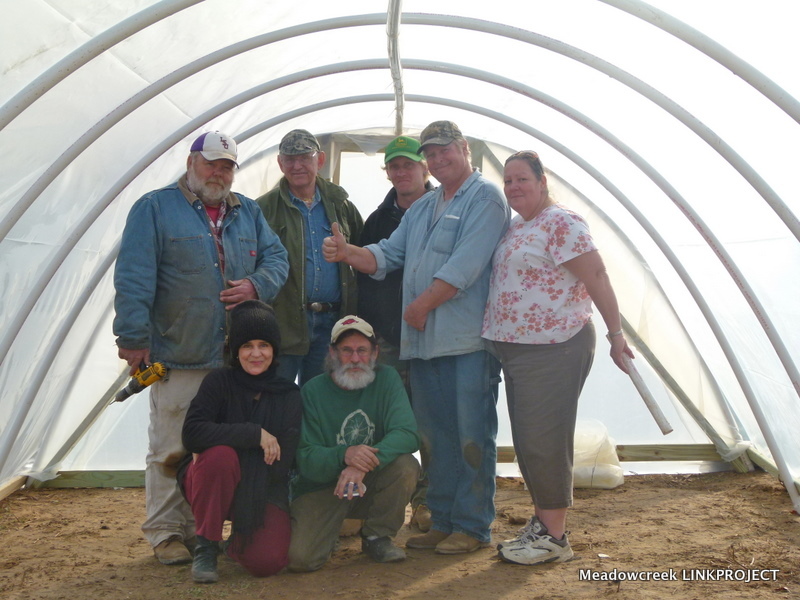 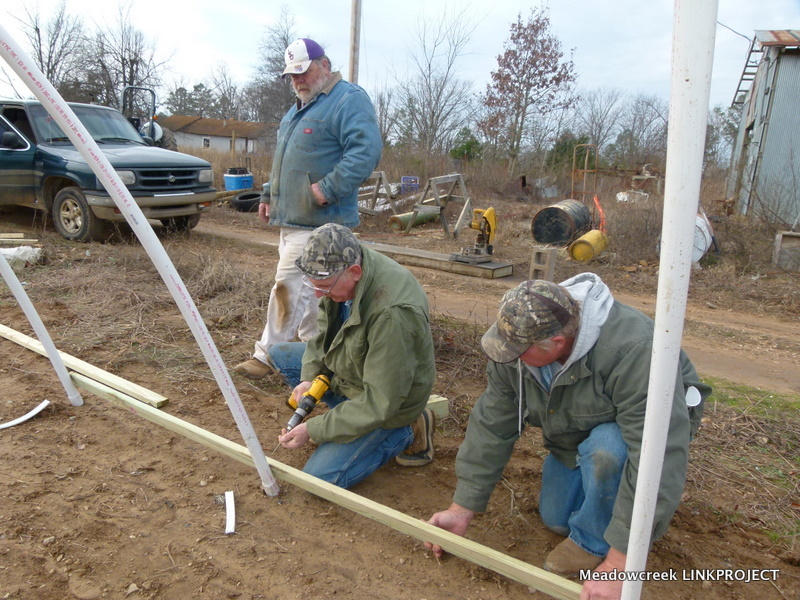 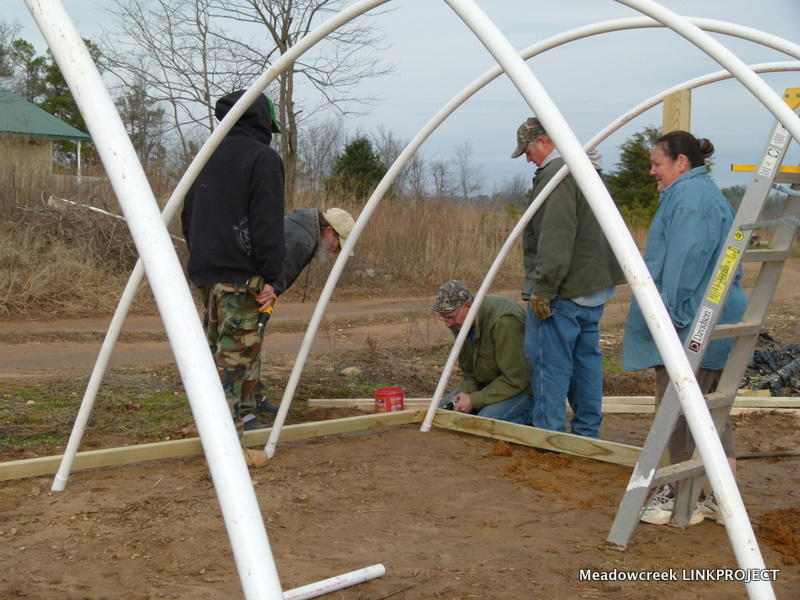 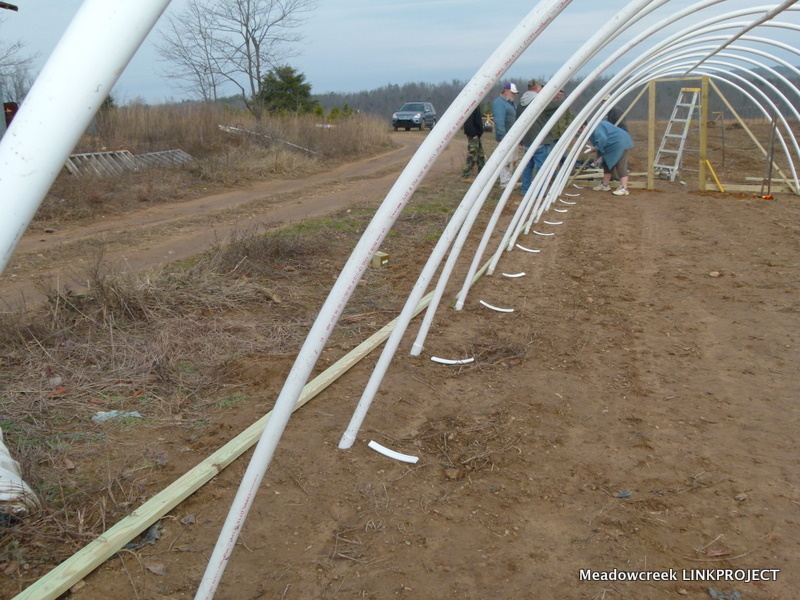 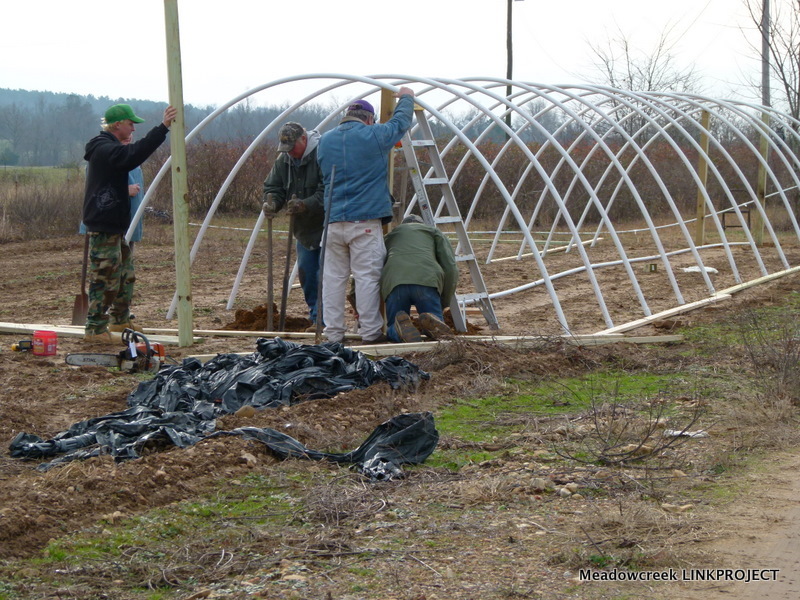 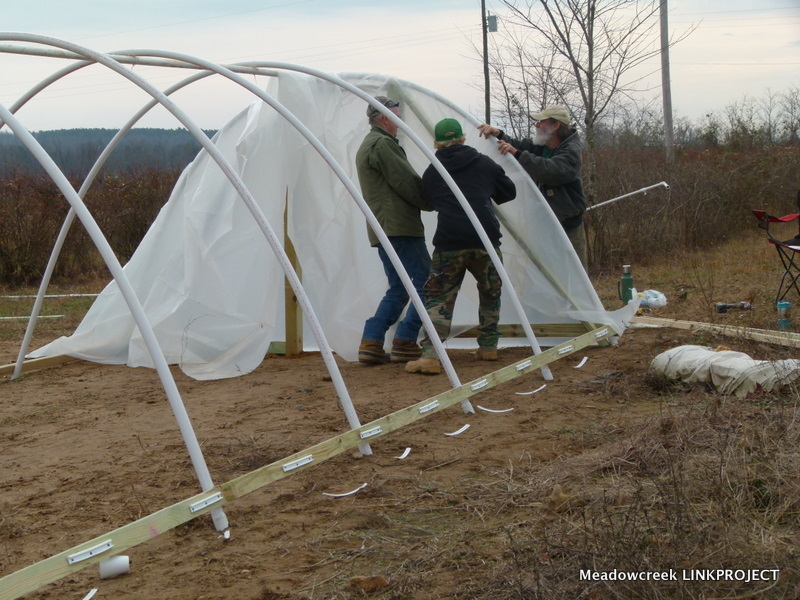 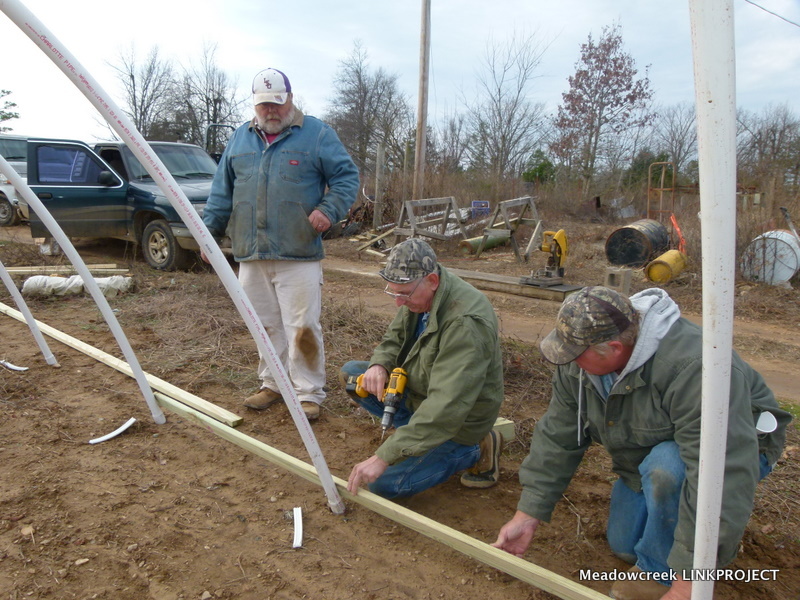 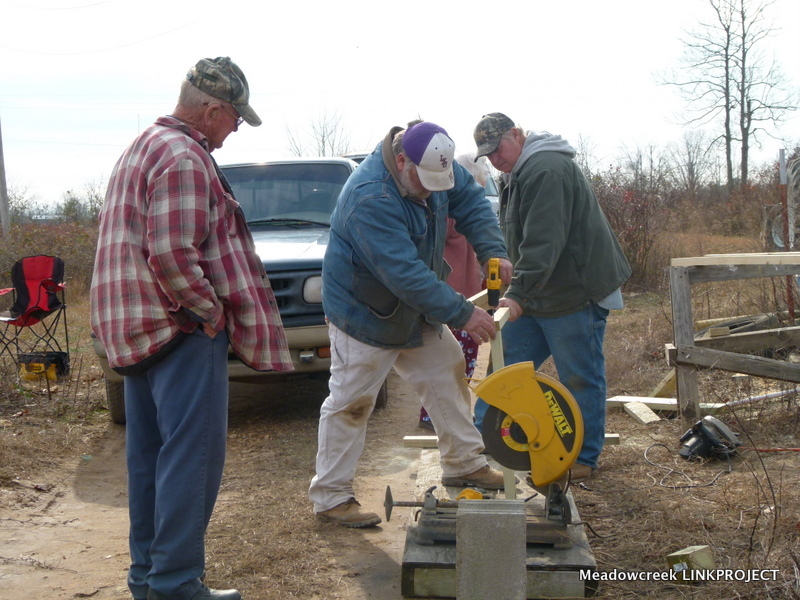 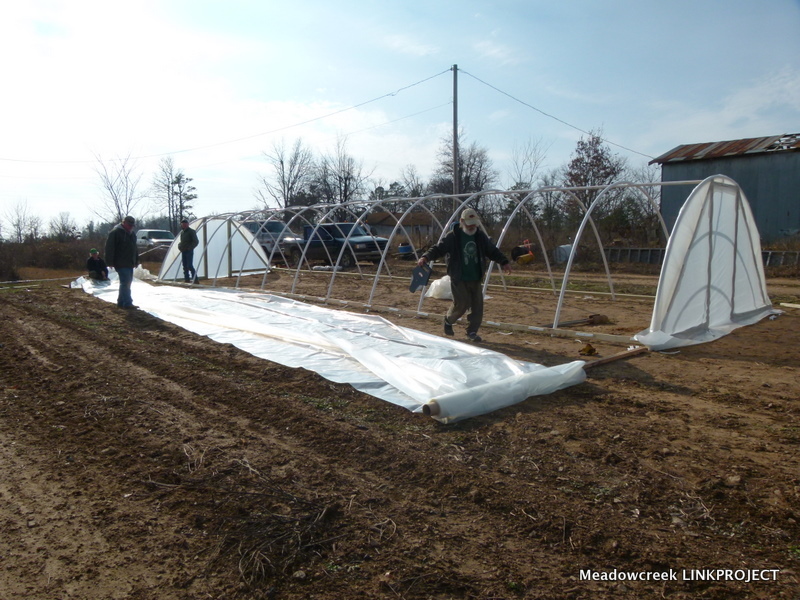 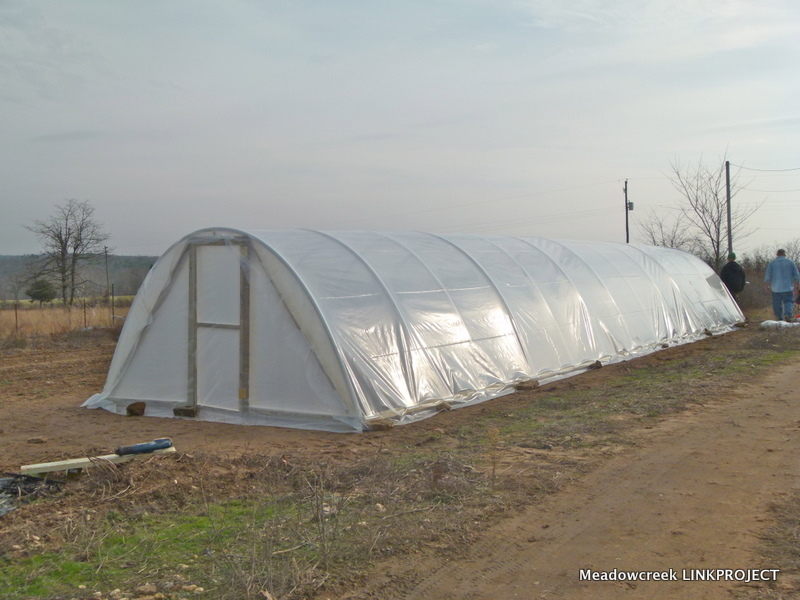 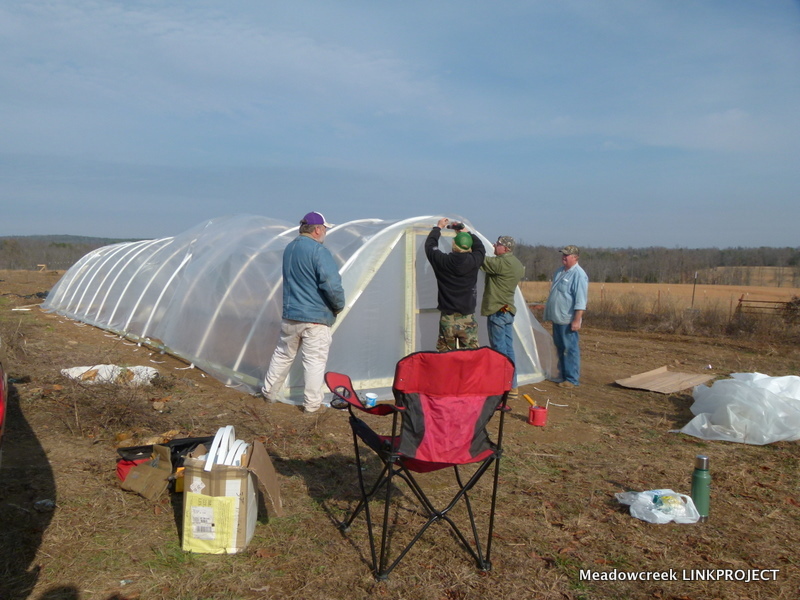 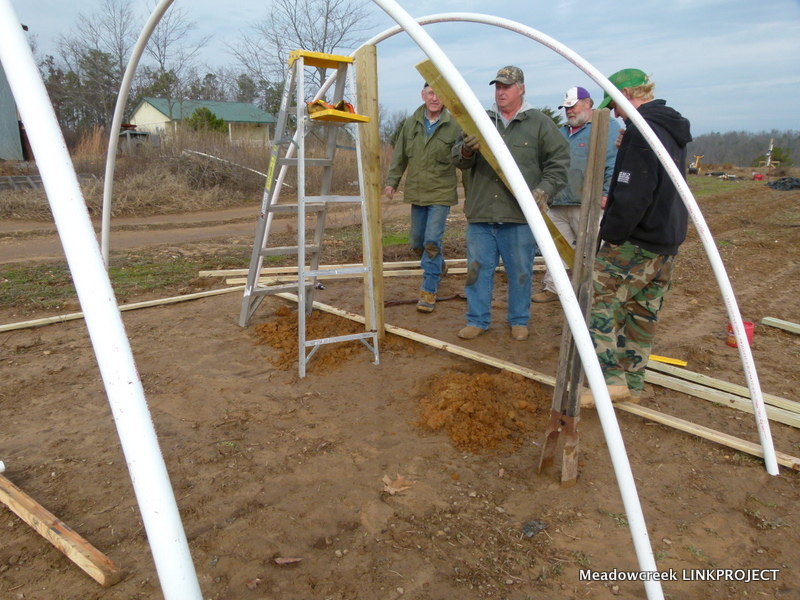 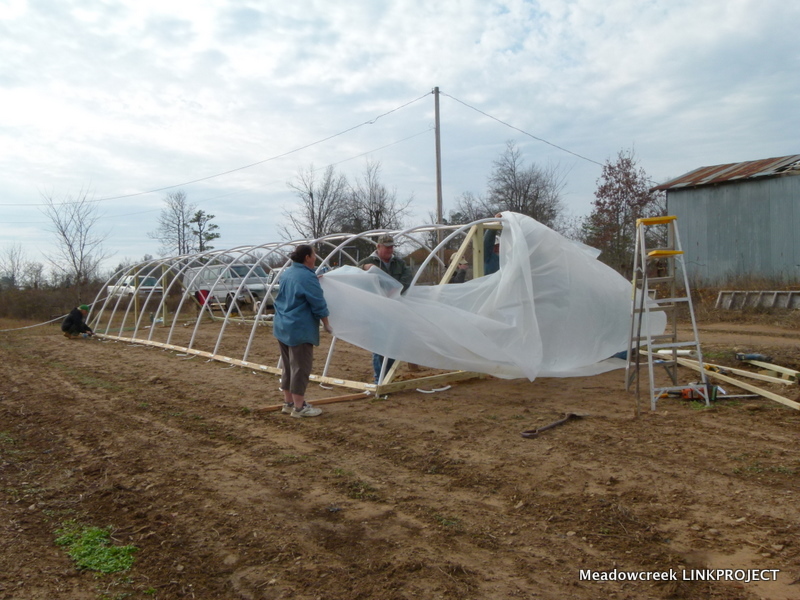 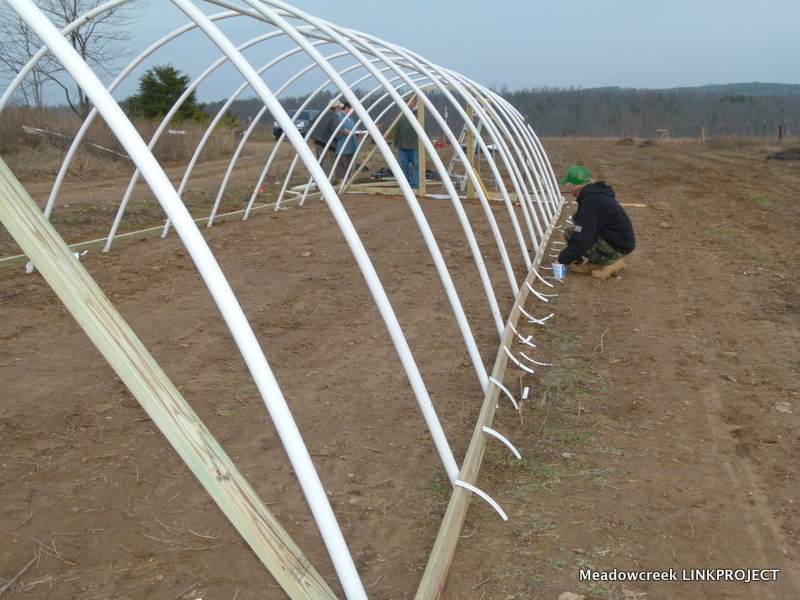 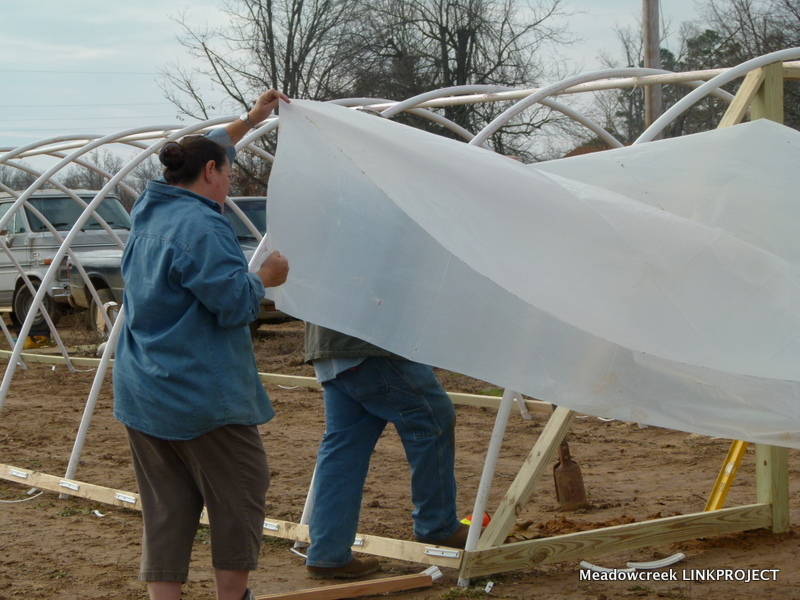 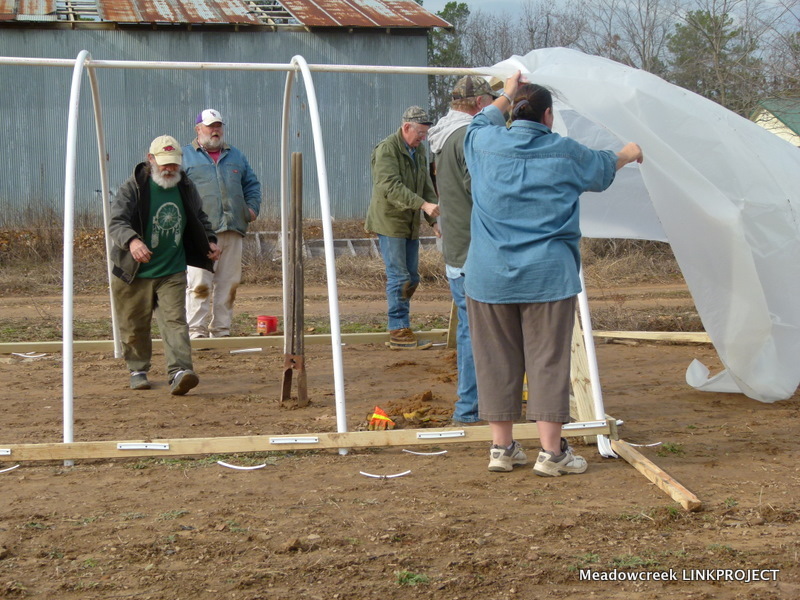 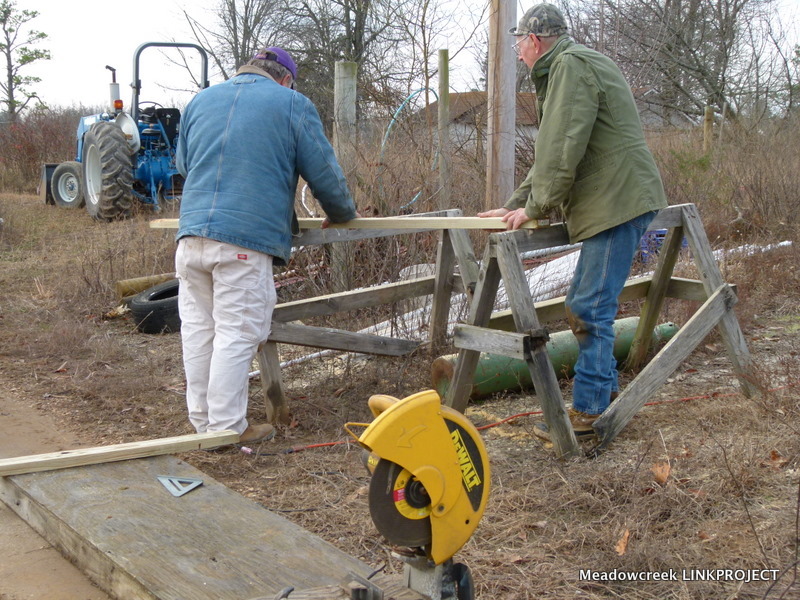 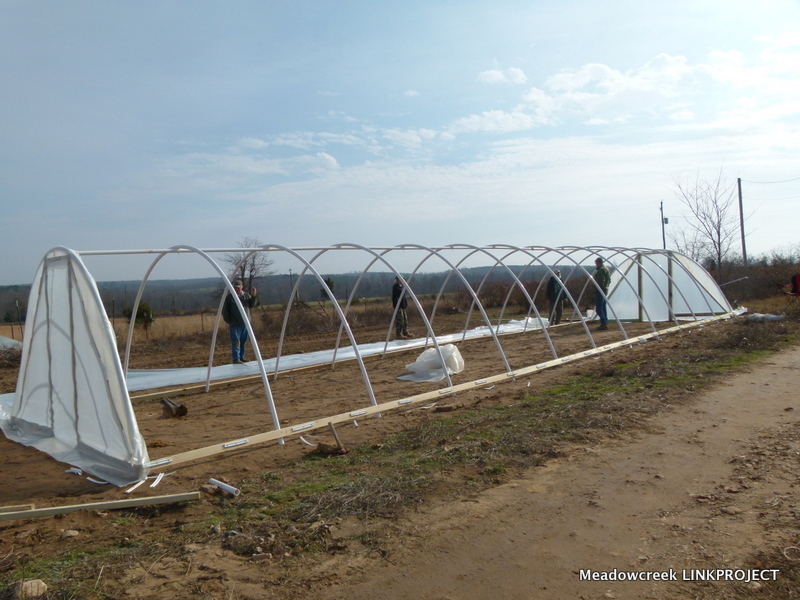 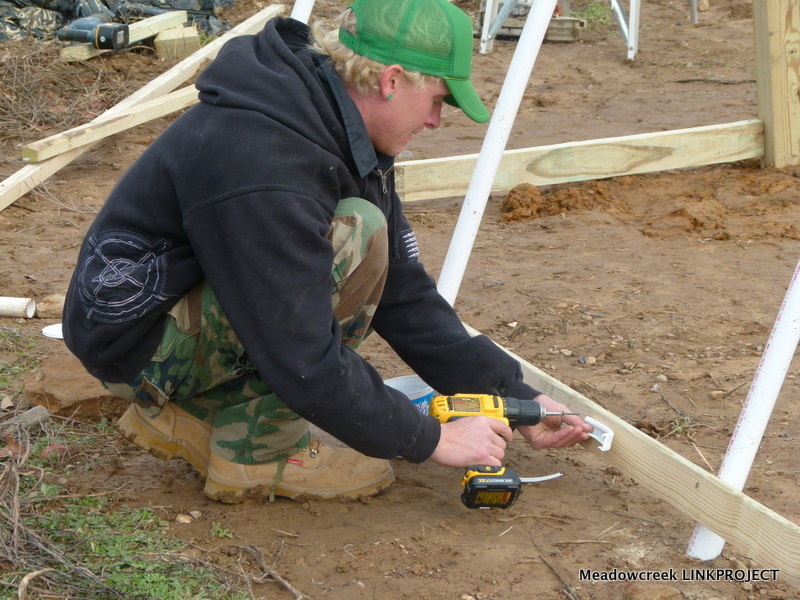 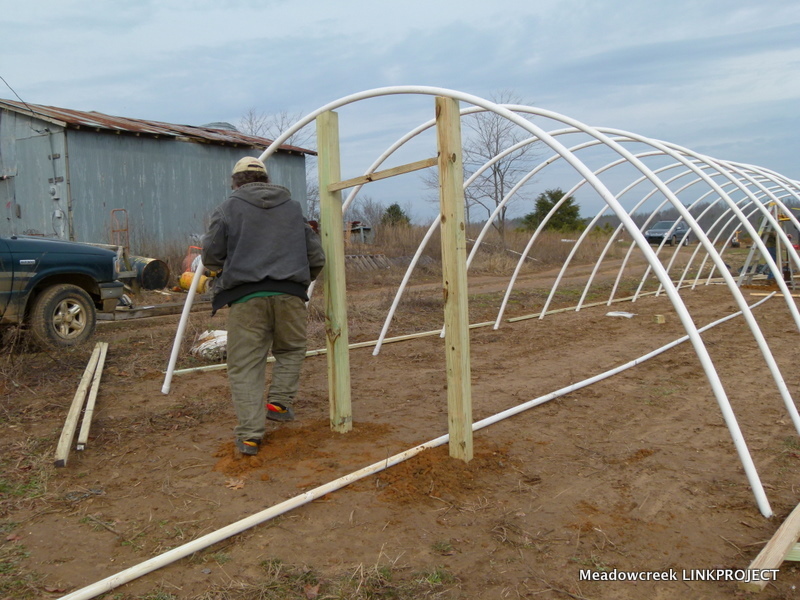 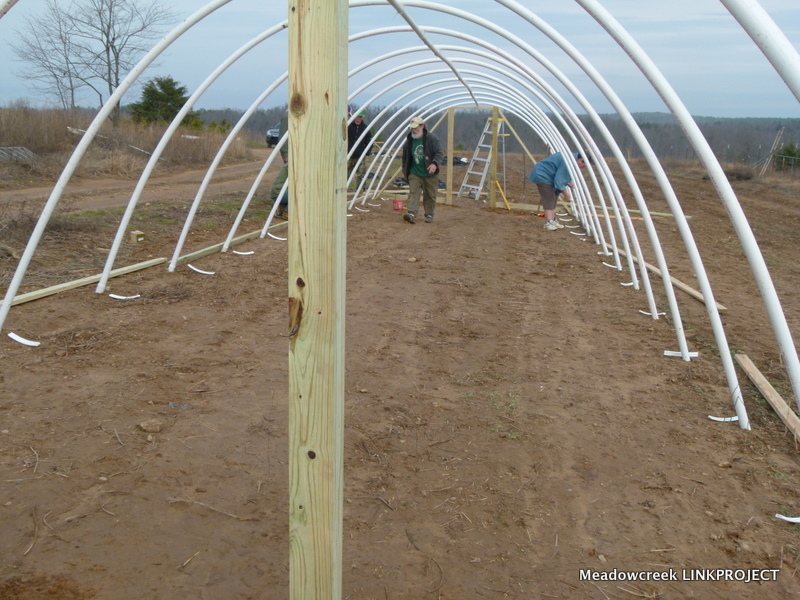 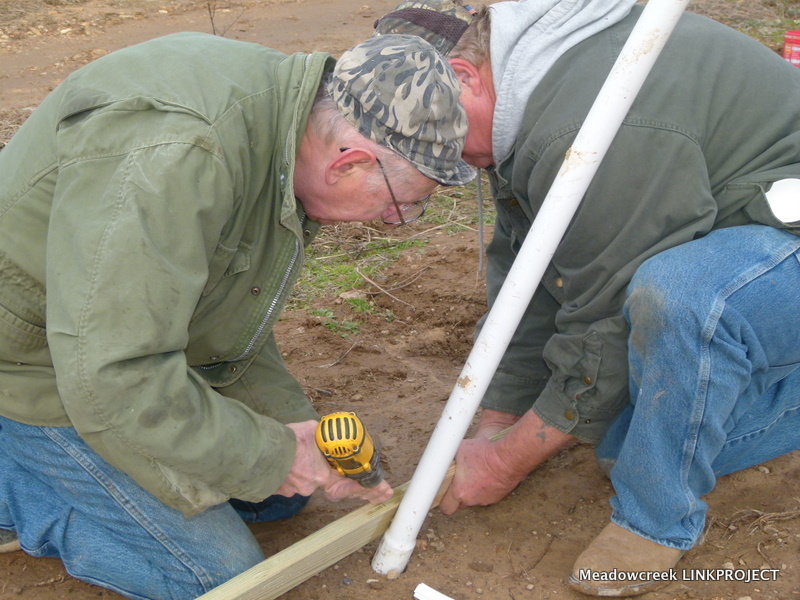 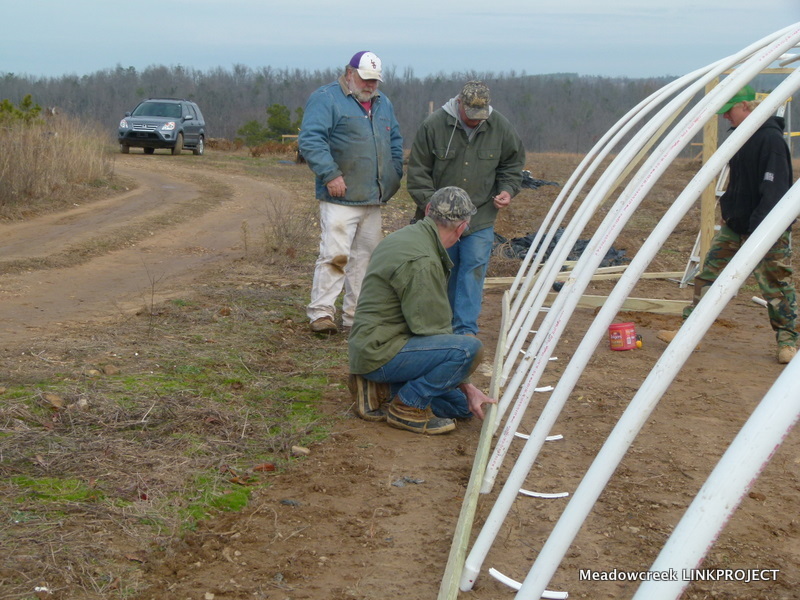 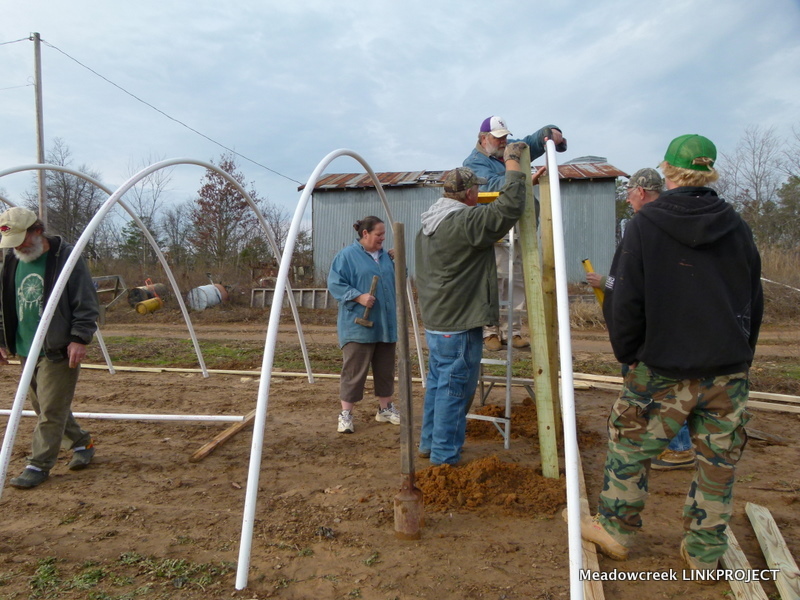 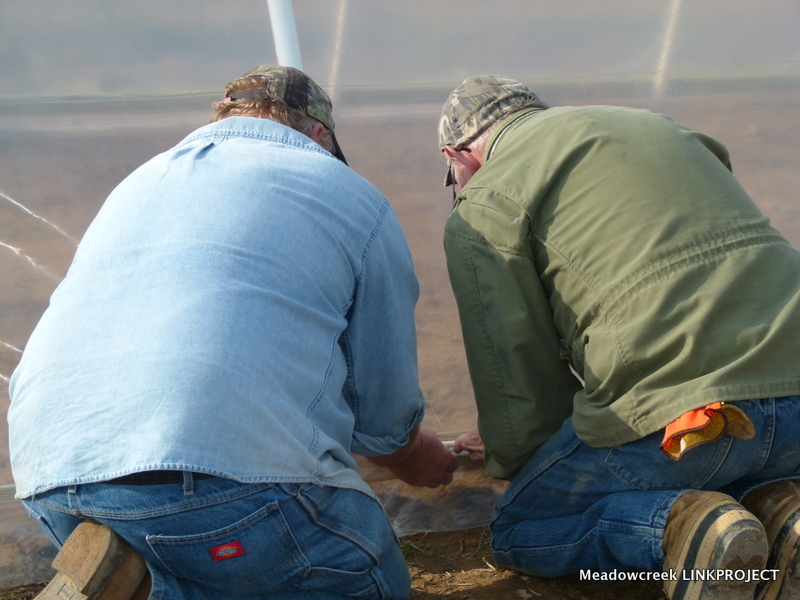 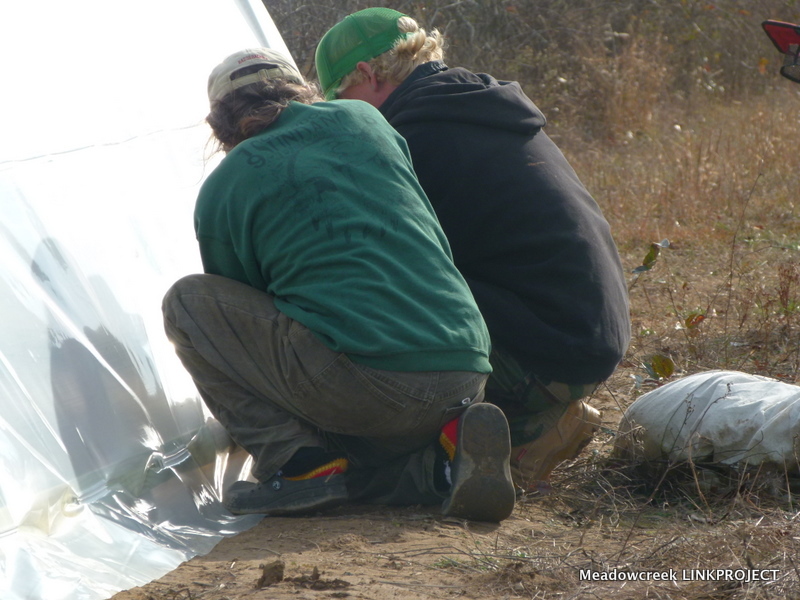 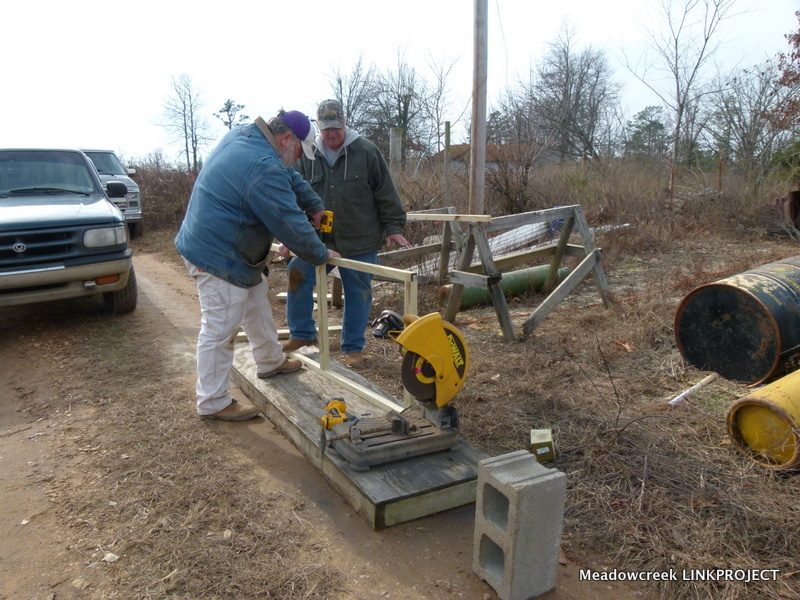 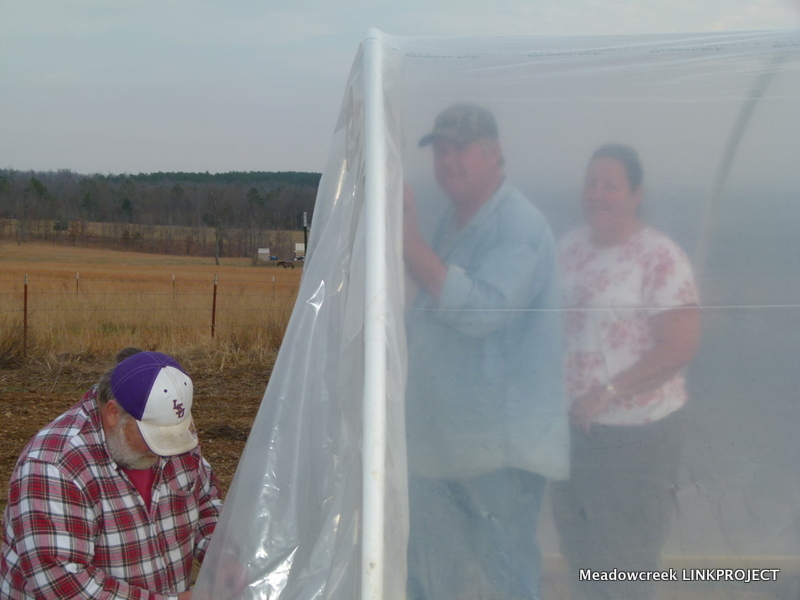 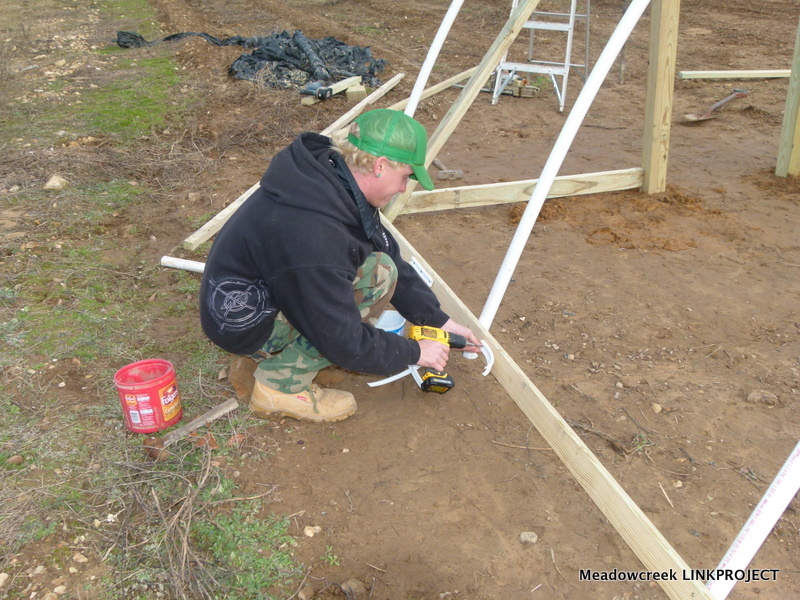 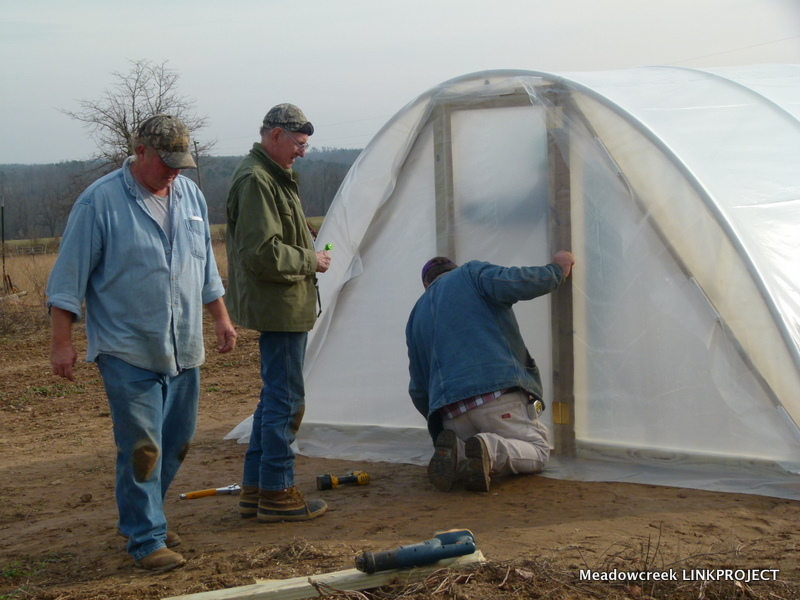 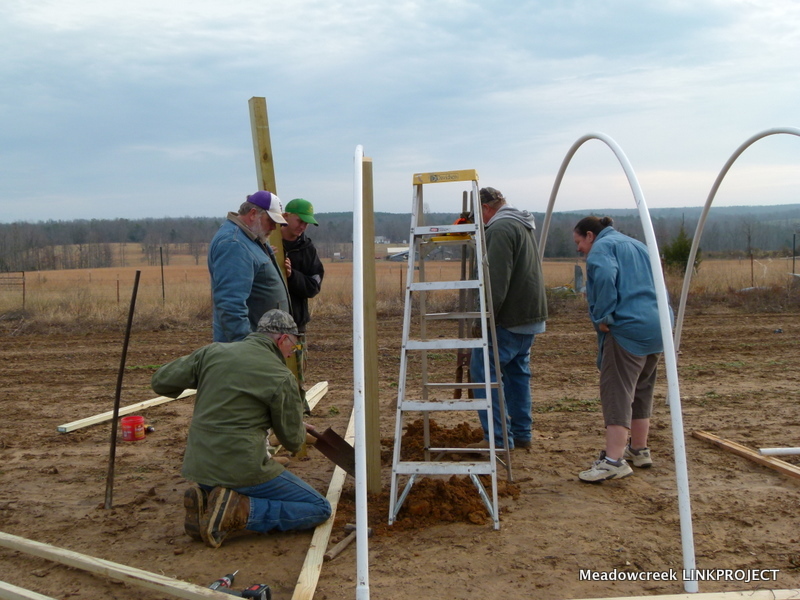 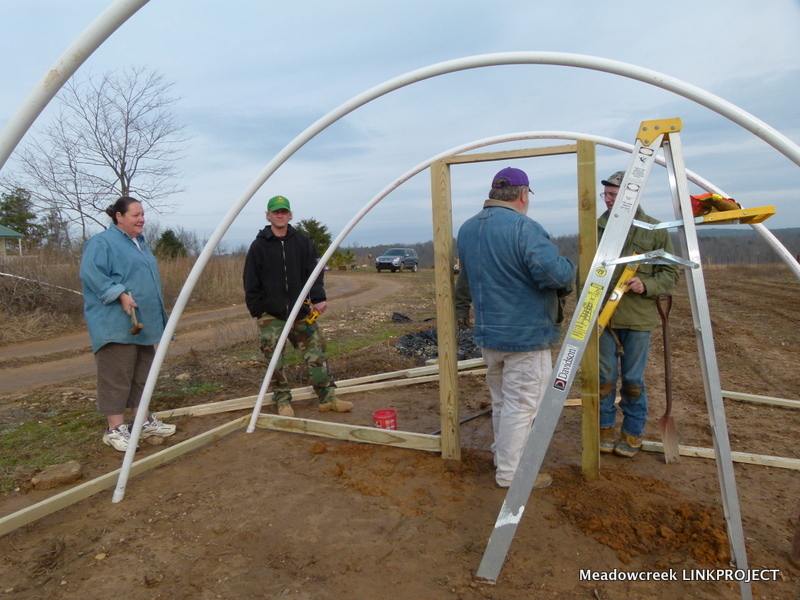 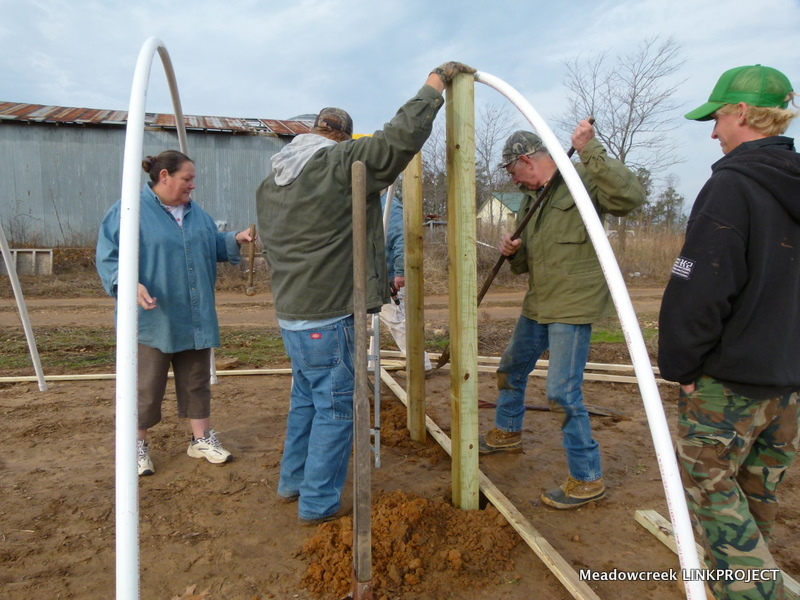 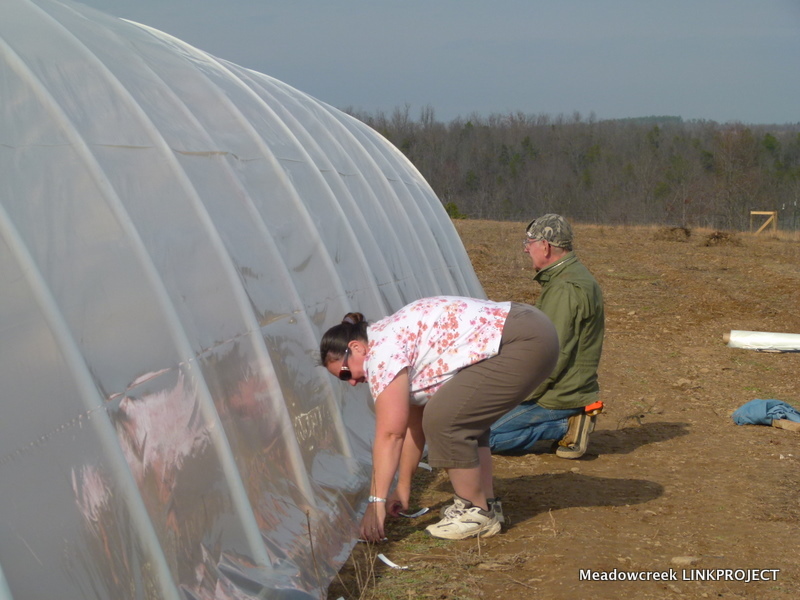 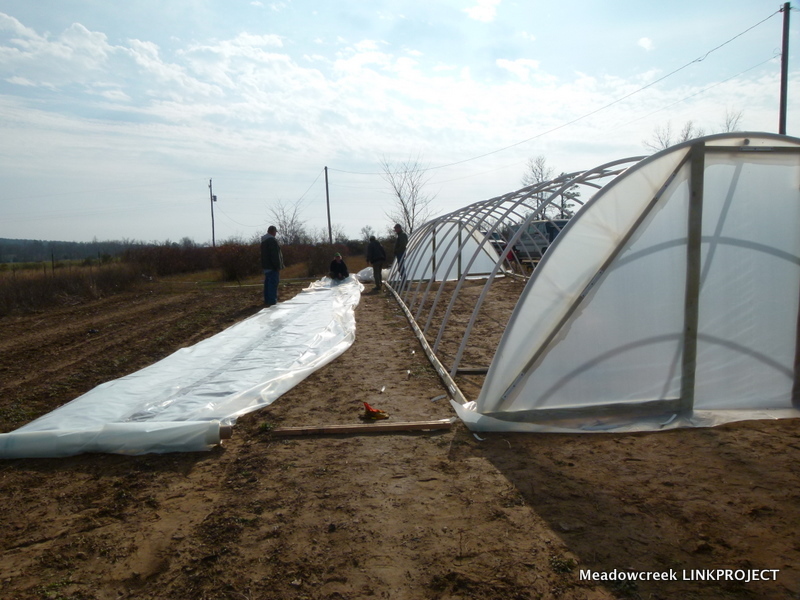 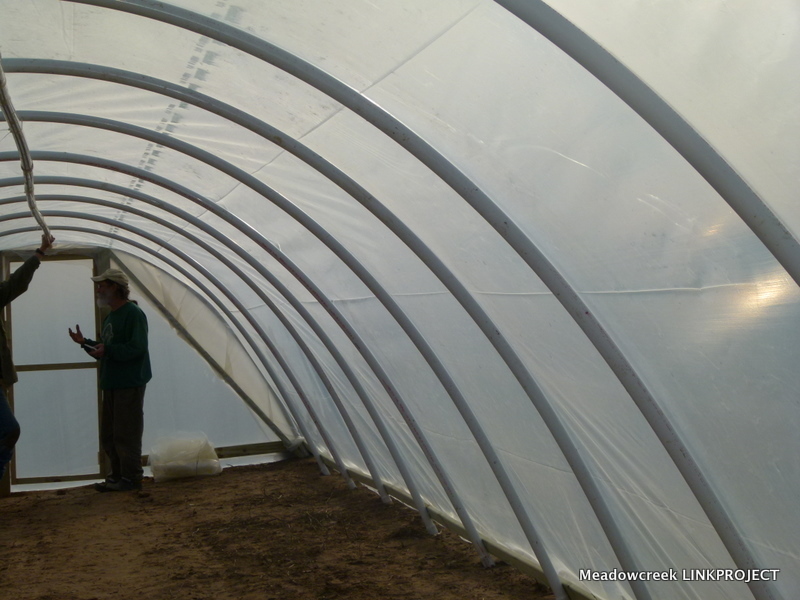 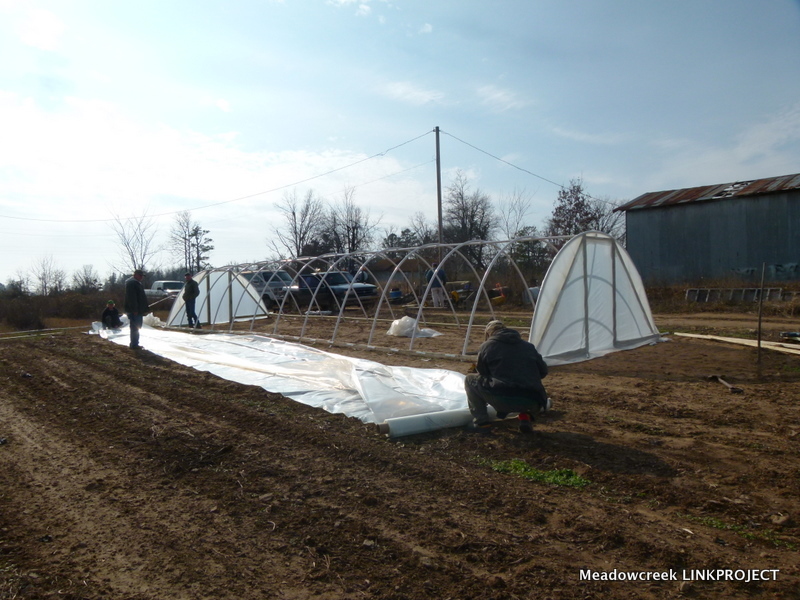 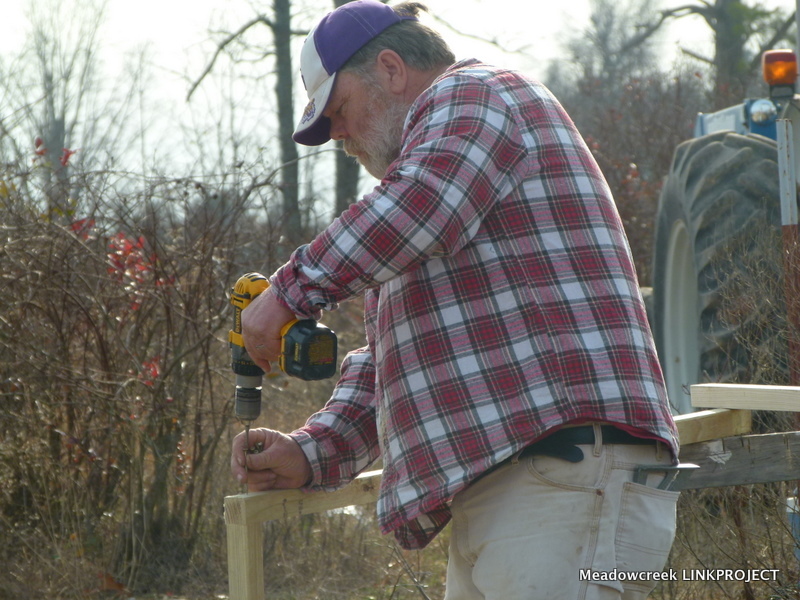 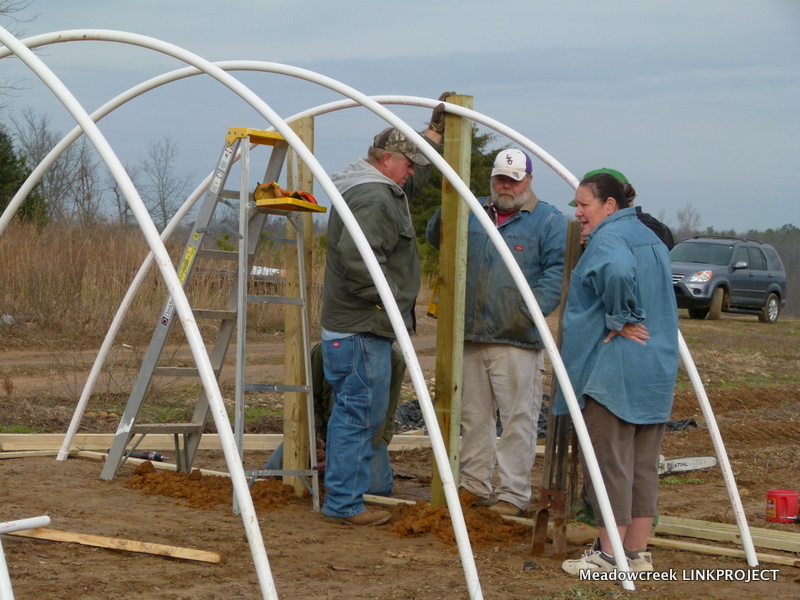 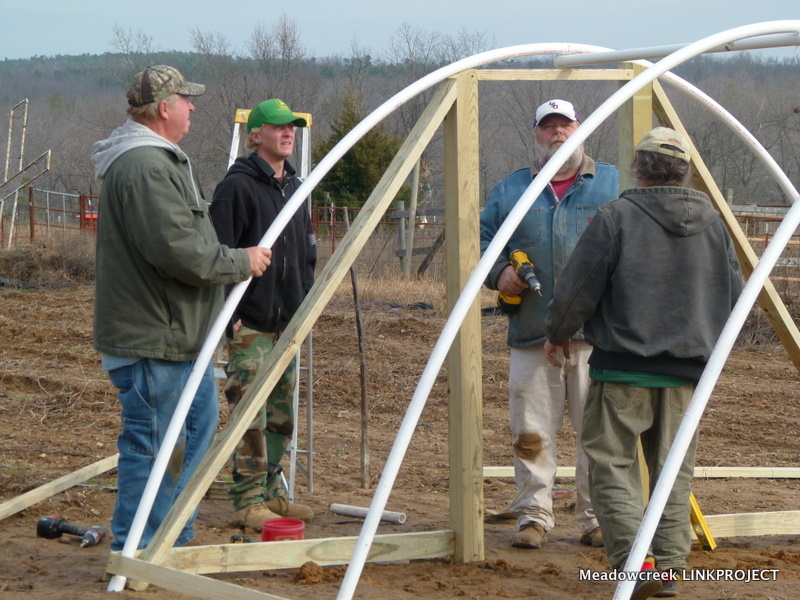 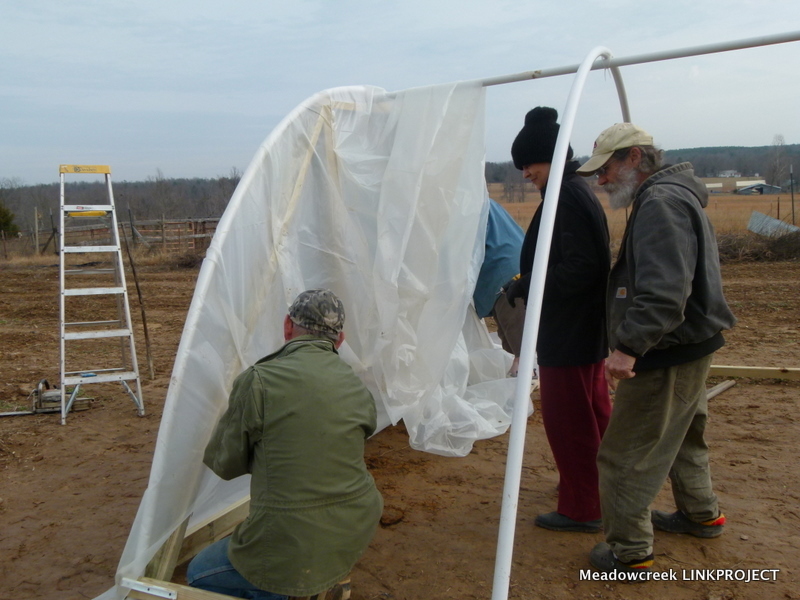 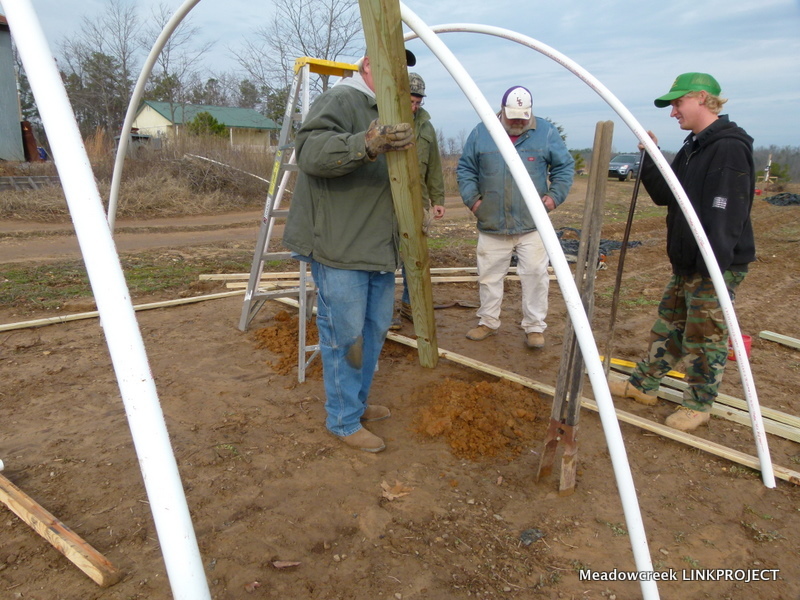 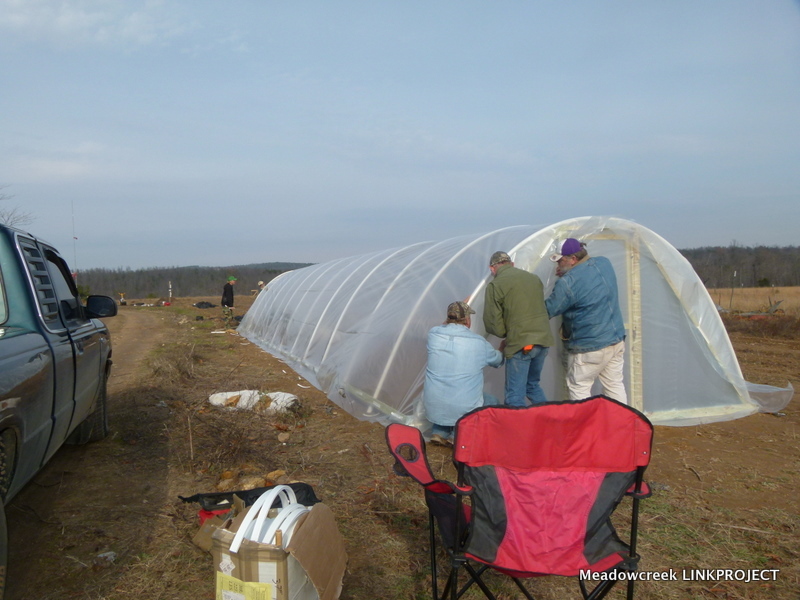 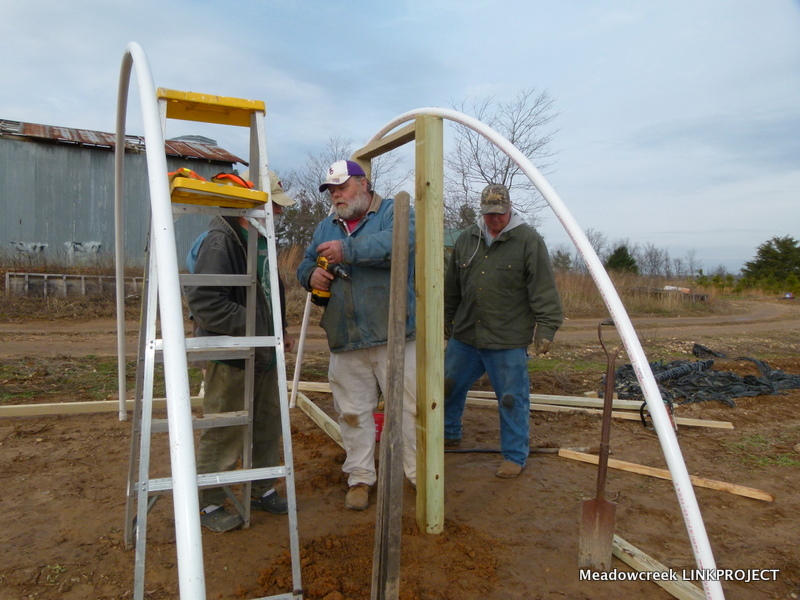 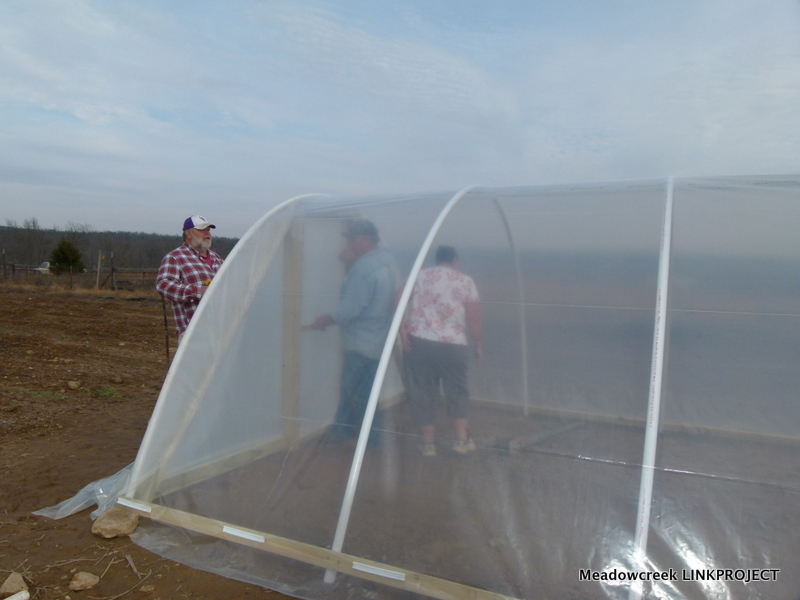 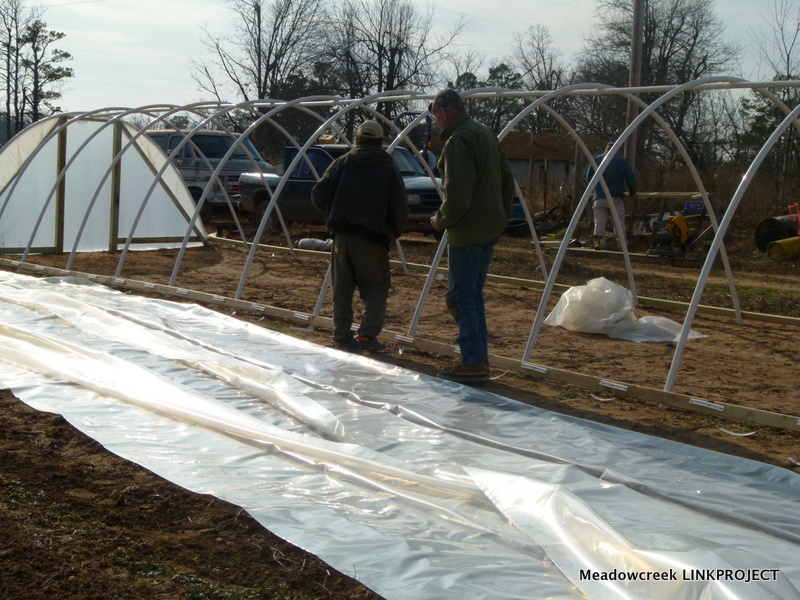 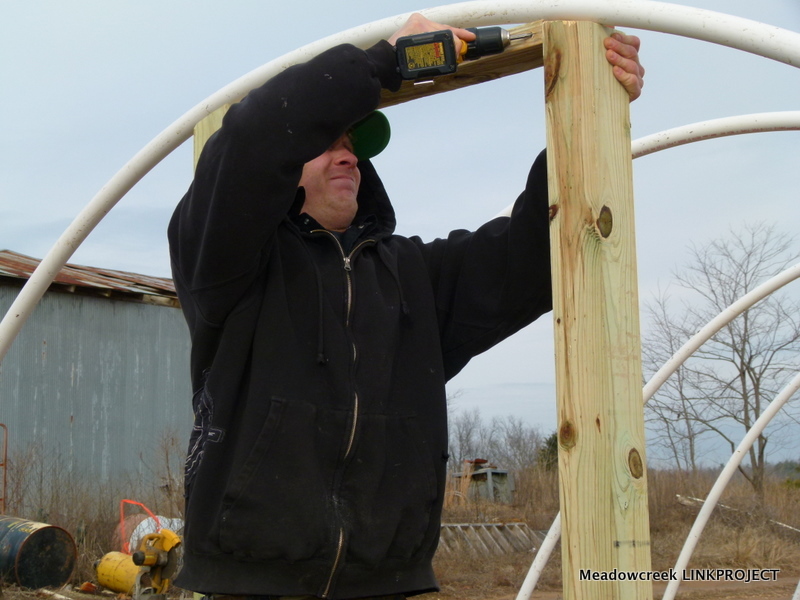 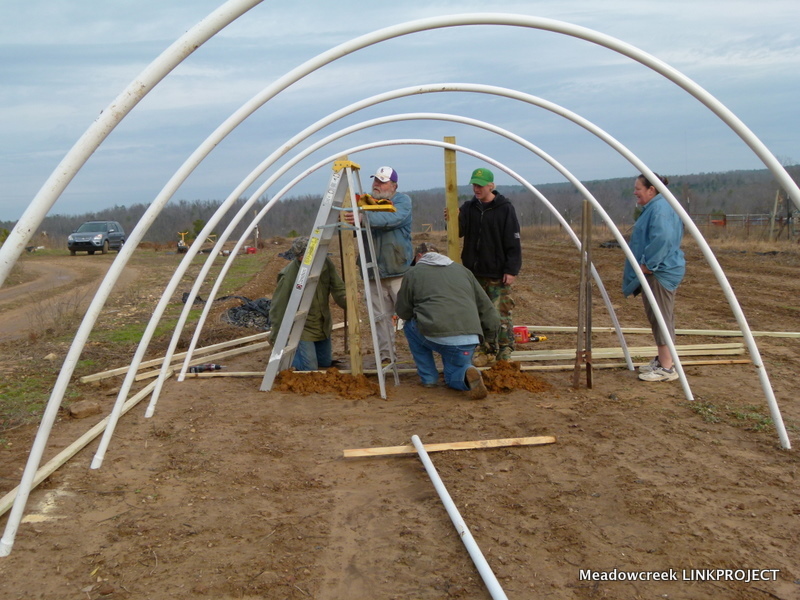 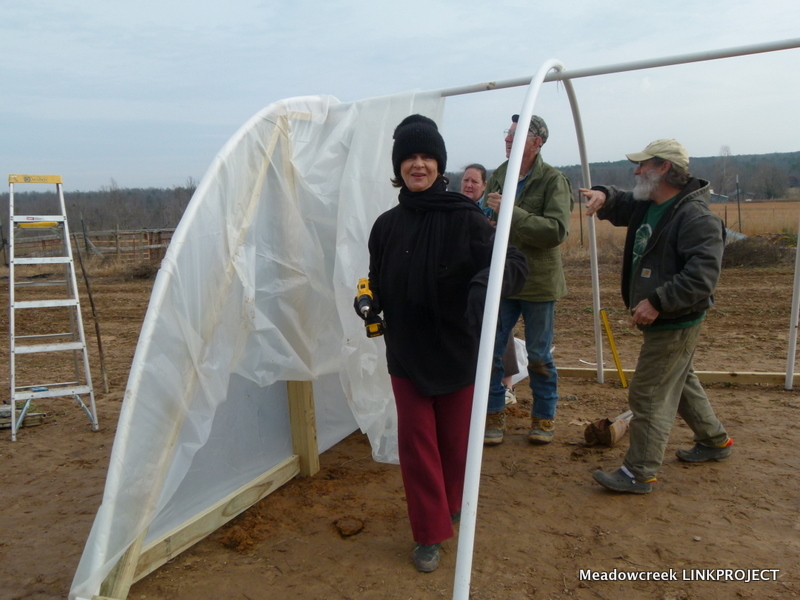 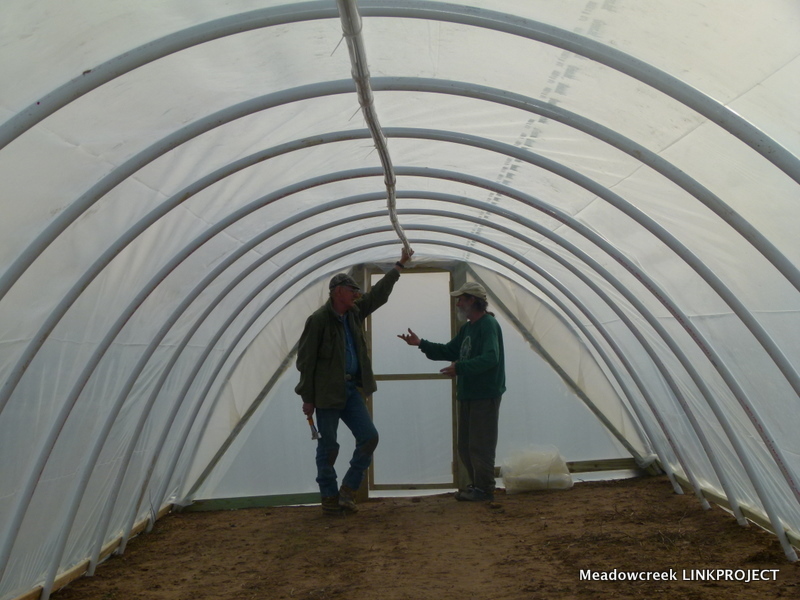 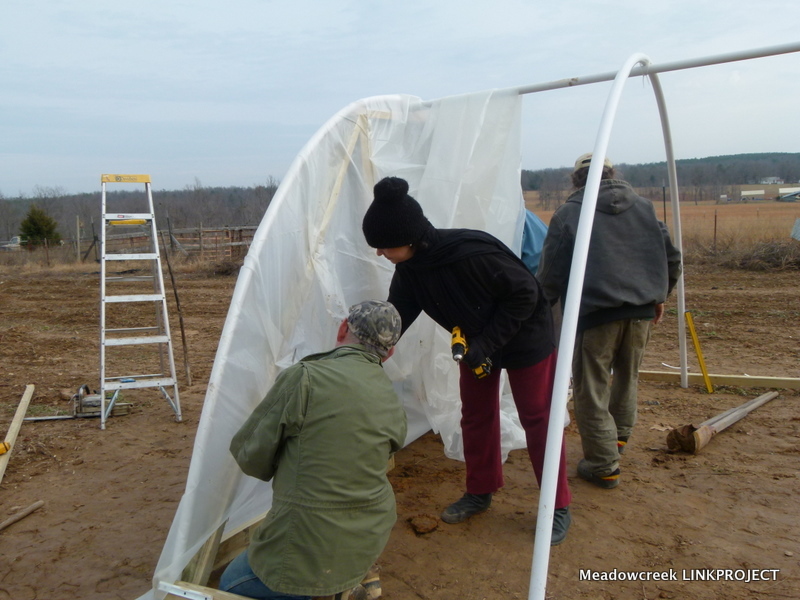 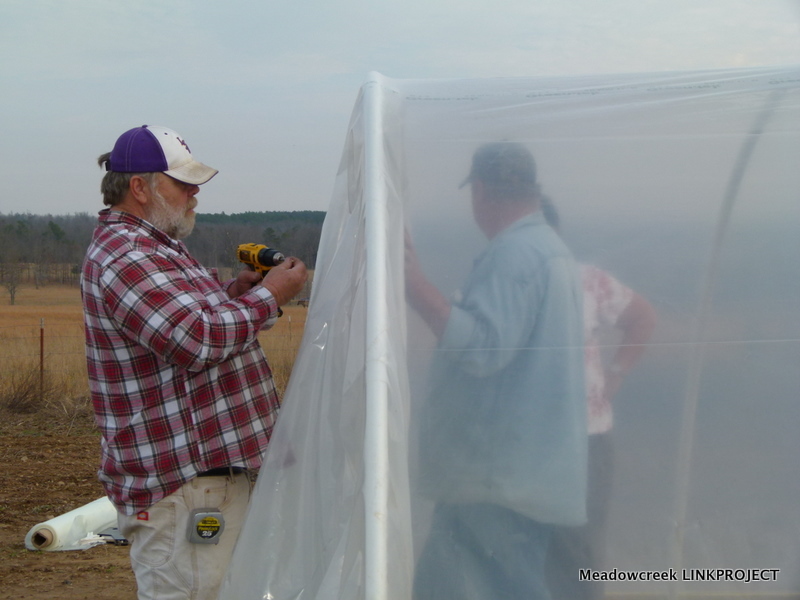 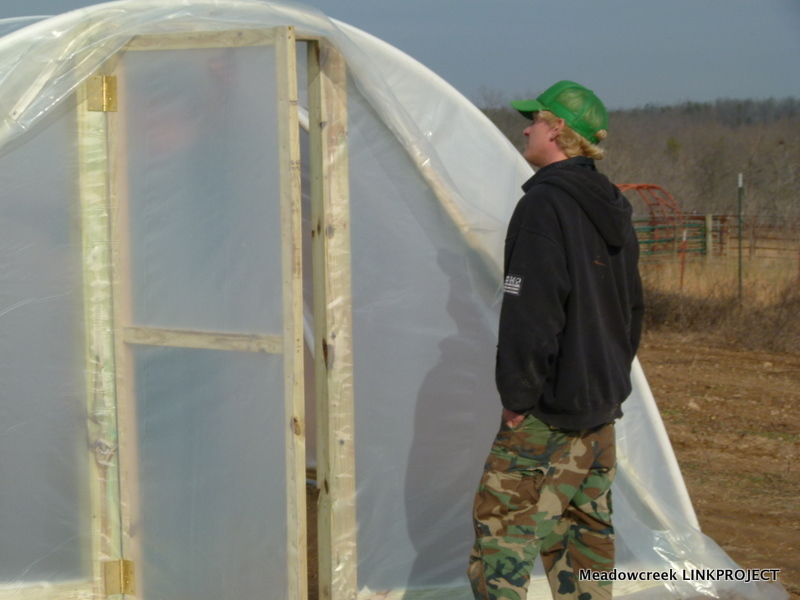 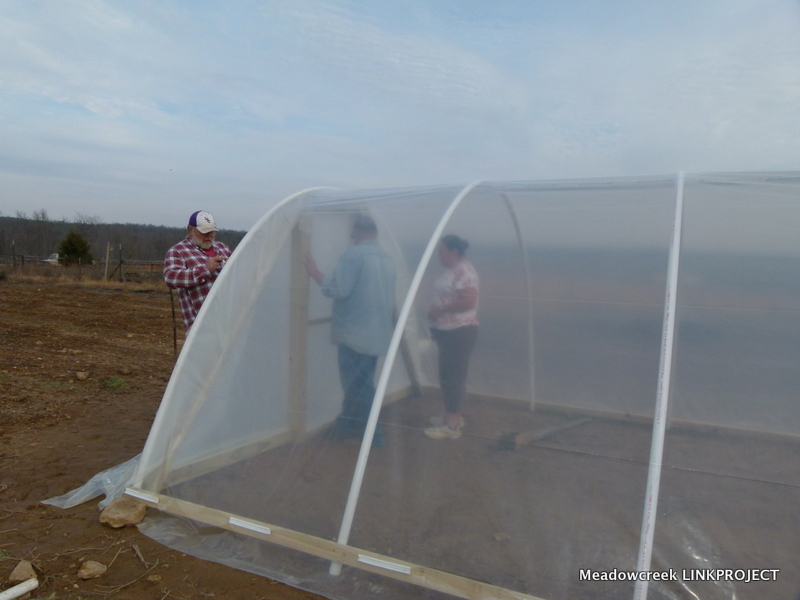 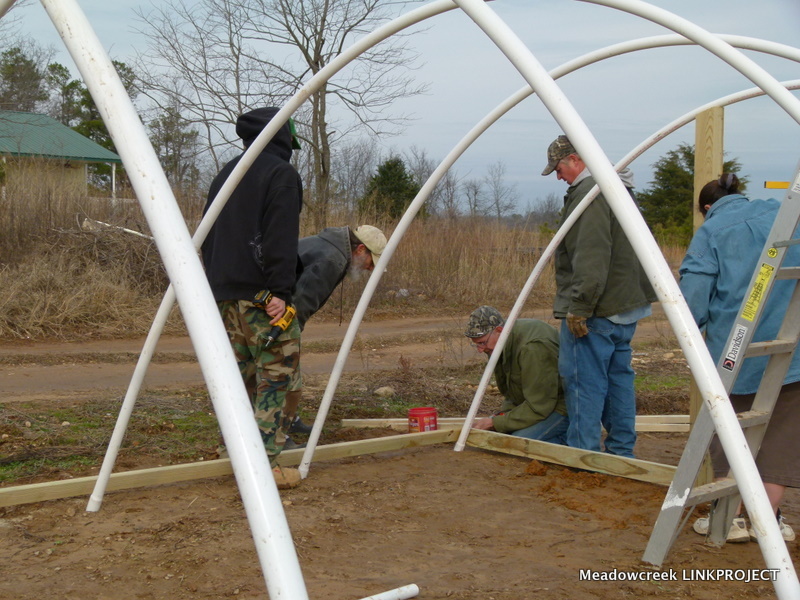 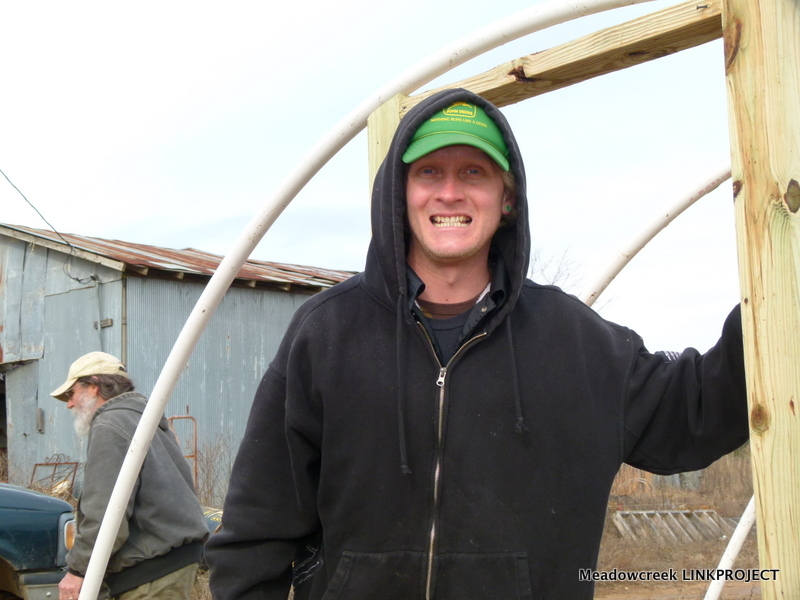 We had a marvelous day erecting a cold frame at Sue and Ted Allen’s farm in Fox on December 13, 2011. 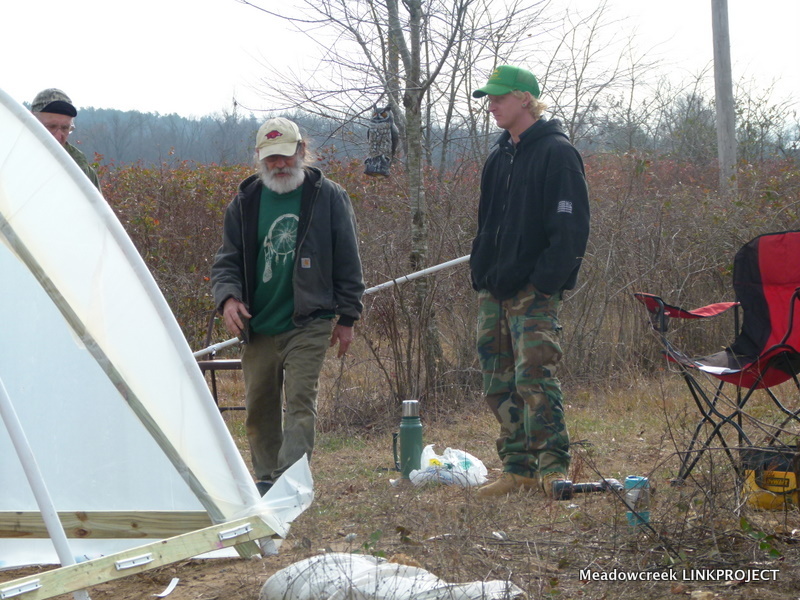 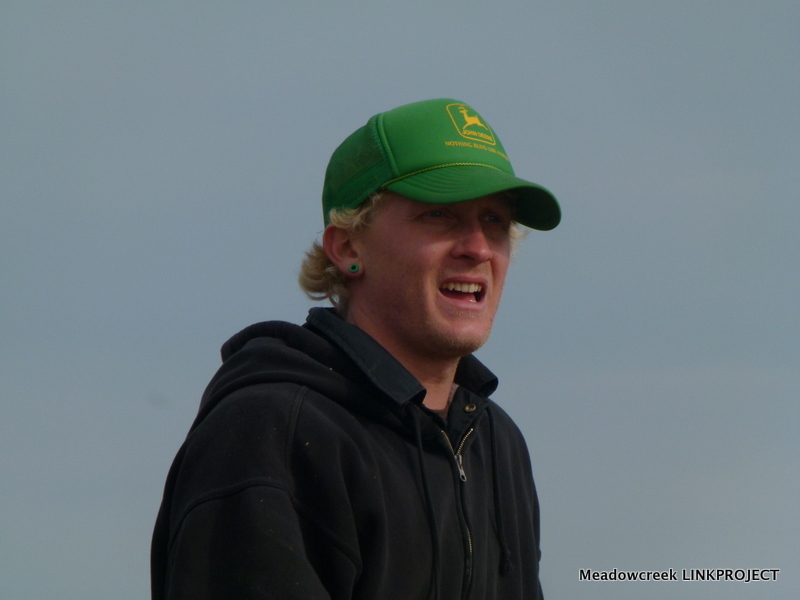 There was mild concern about the higher-than-usual winds that day, but we were able to meet the challenge. 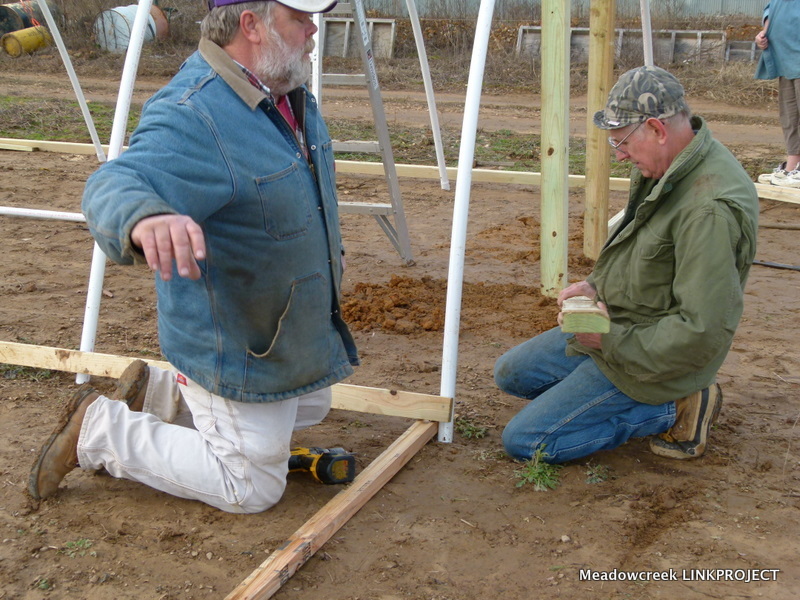 In fact, we’re getting good at this. 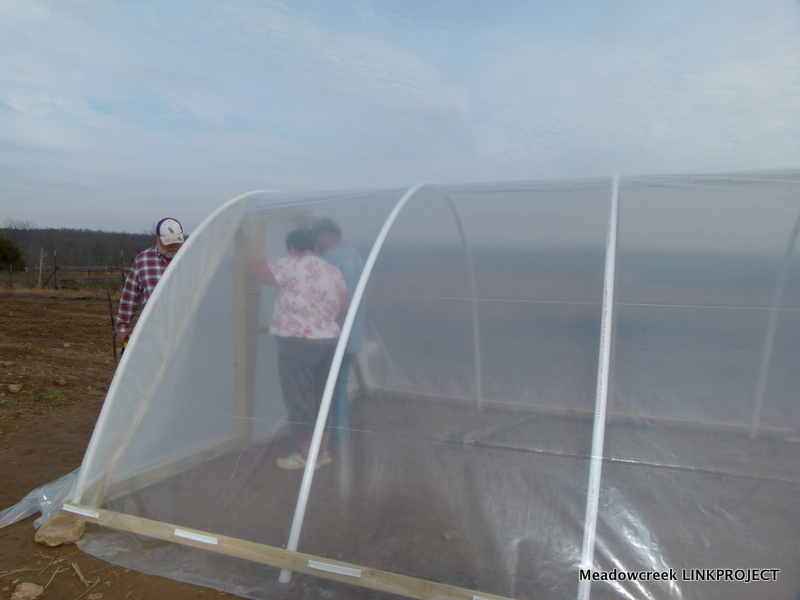 It took only four hours to erect the cold frame giving us plenty of time to stop and enjoy the wonderful lunch Sue prepared. 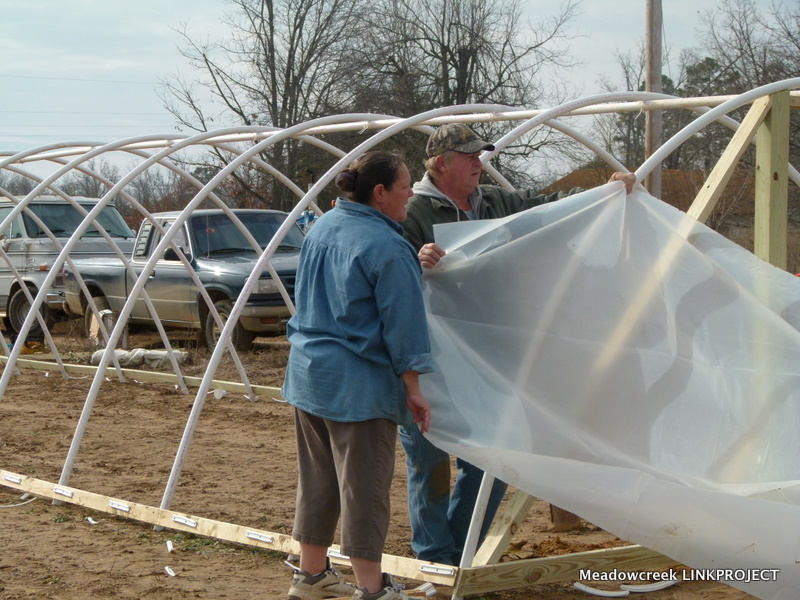 Sue and Ted have been vendors at Stone County Farmers Market and the Conway Farmers Market. 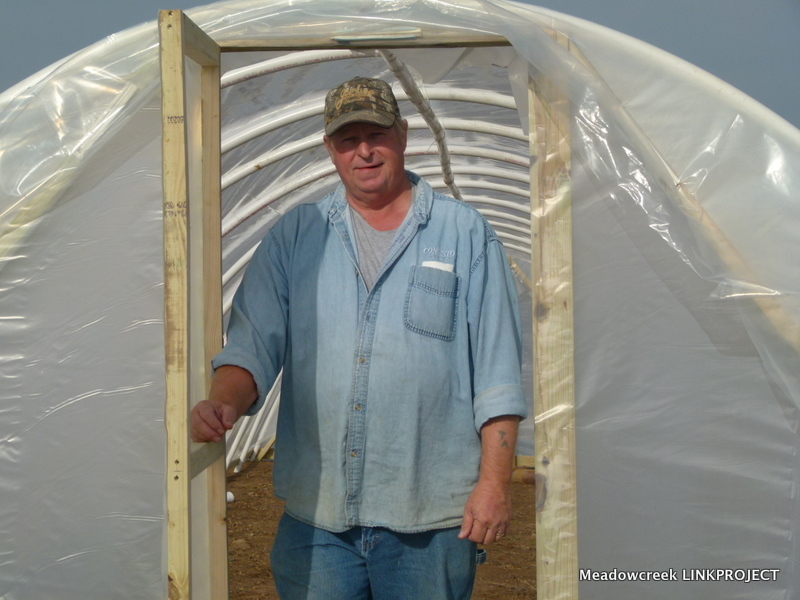 Like several farmers in Fox, they’ve become known for their blueberries which they take to market as well as make available for “you-pickers” who want that experience. 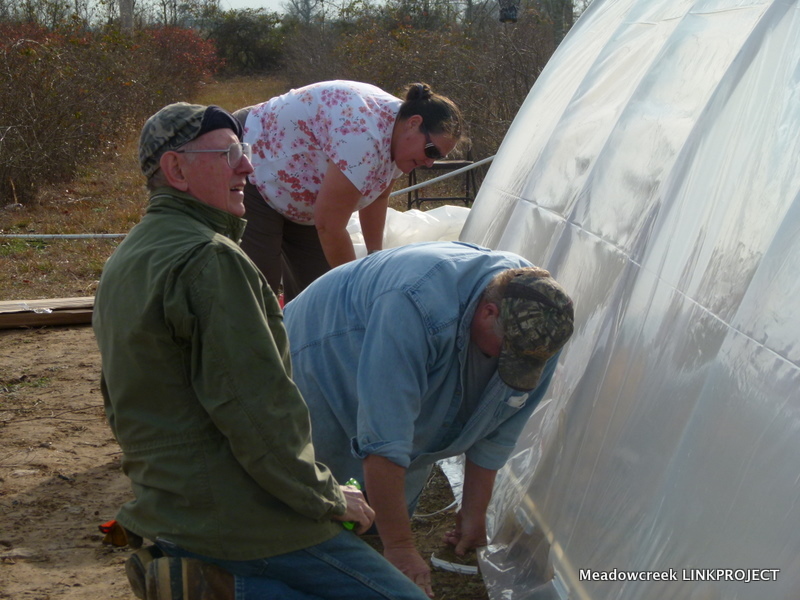 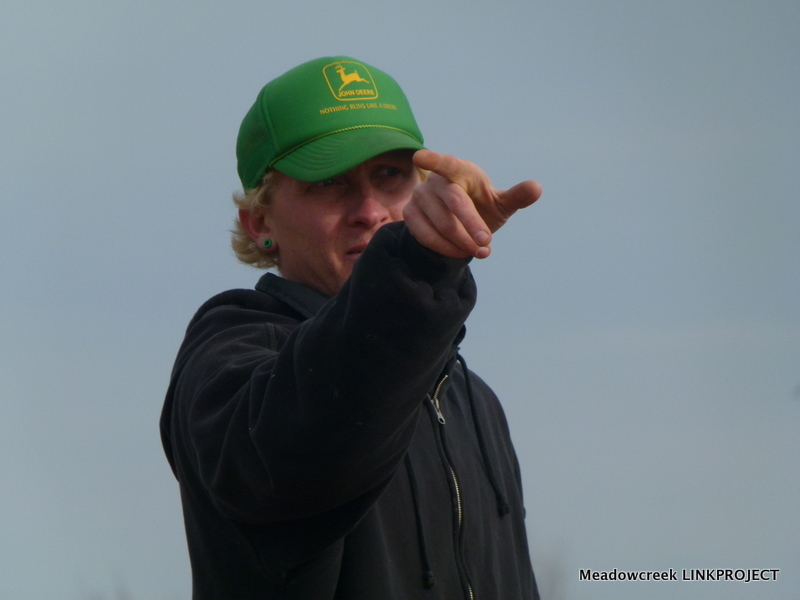 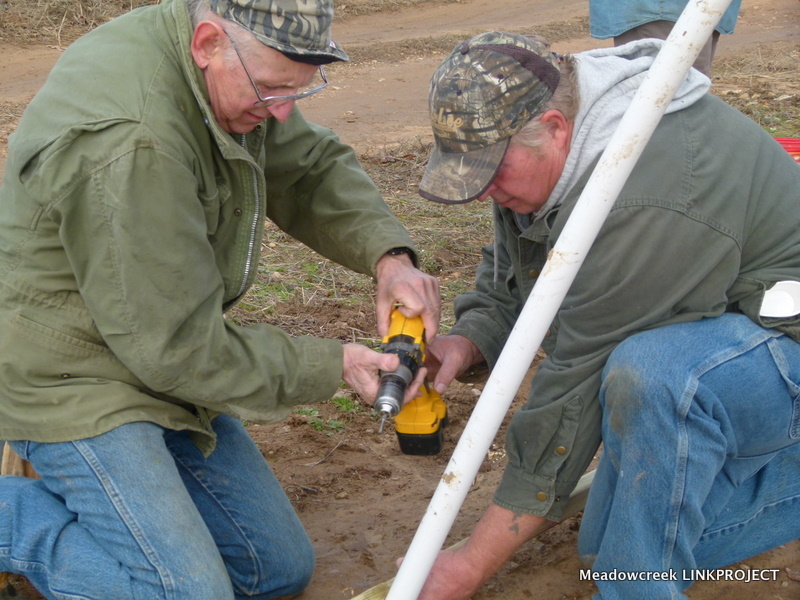 Sadly, however, area farmers were slammed by weather in 2011. 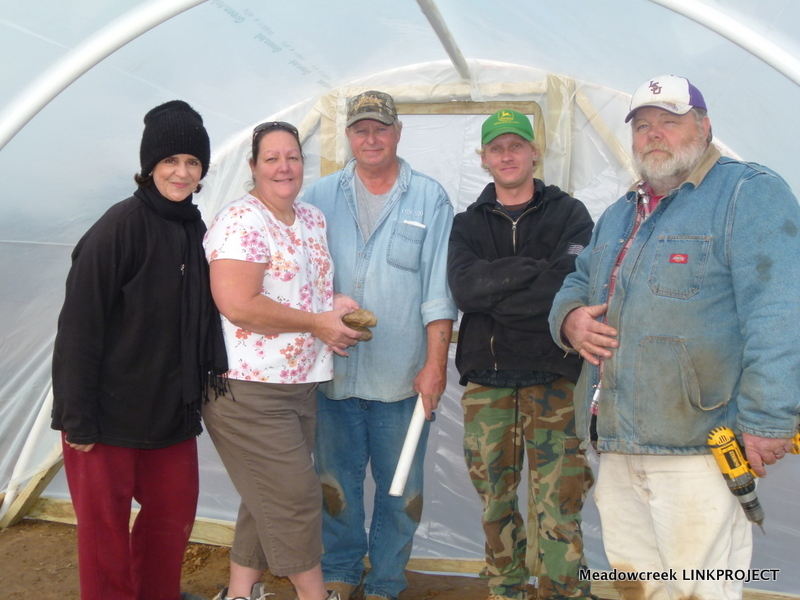 Where 2010 had produced the finest blueberry harvest most had seen in years, in 2011, the crops were quickly disposed of by excessive rain…followed by golf ball-sized hail…followed by a drought that included hot, dry winds. 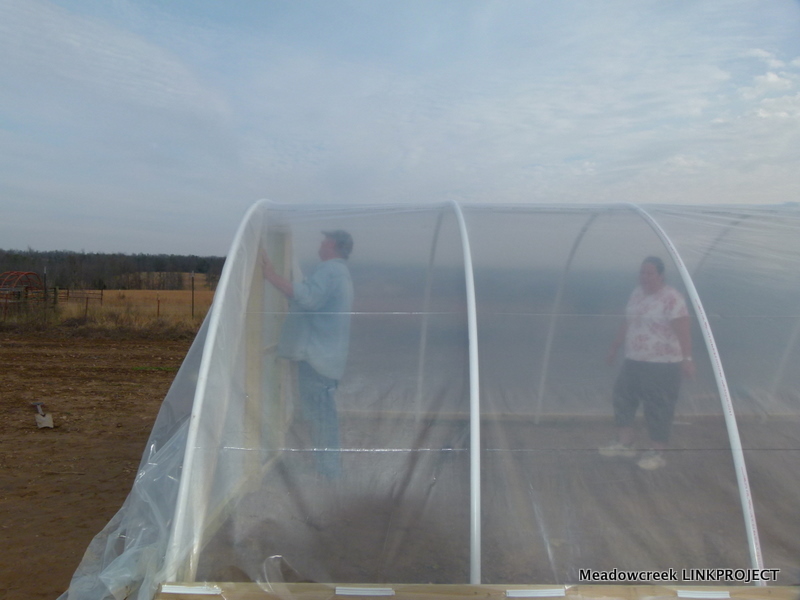 Sue and Ted report they’re thrilled with their new cold frame and are hard at work making preparations for its first planting. 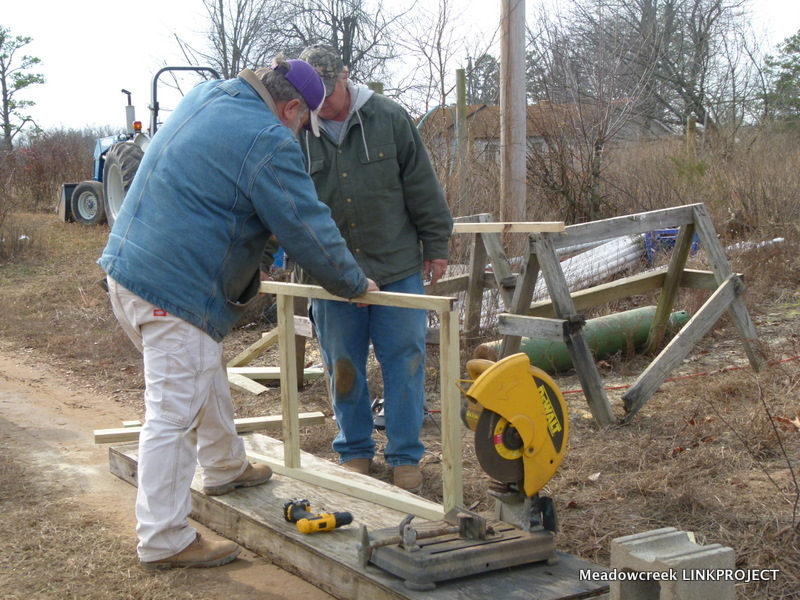 Following are some pictures of us erecting the Allen Farm cold frame in just a few hours.